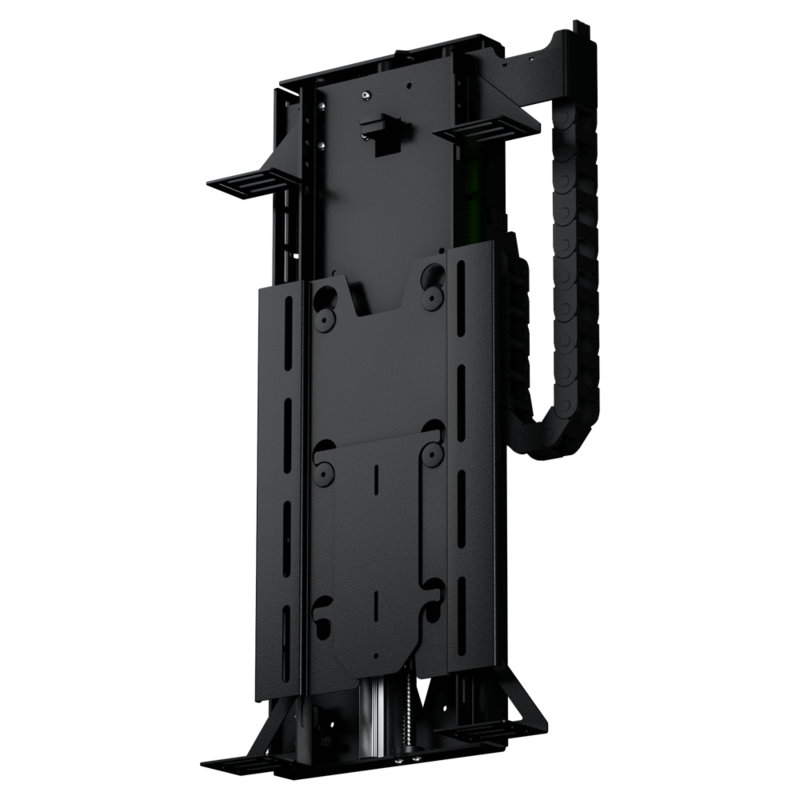 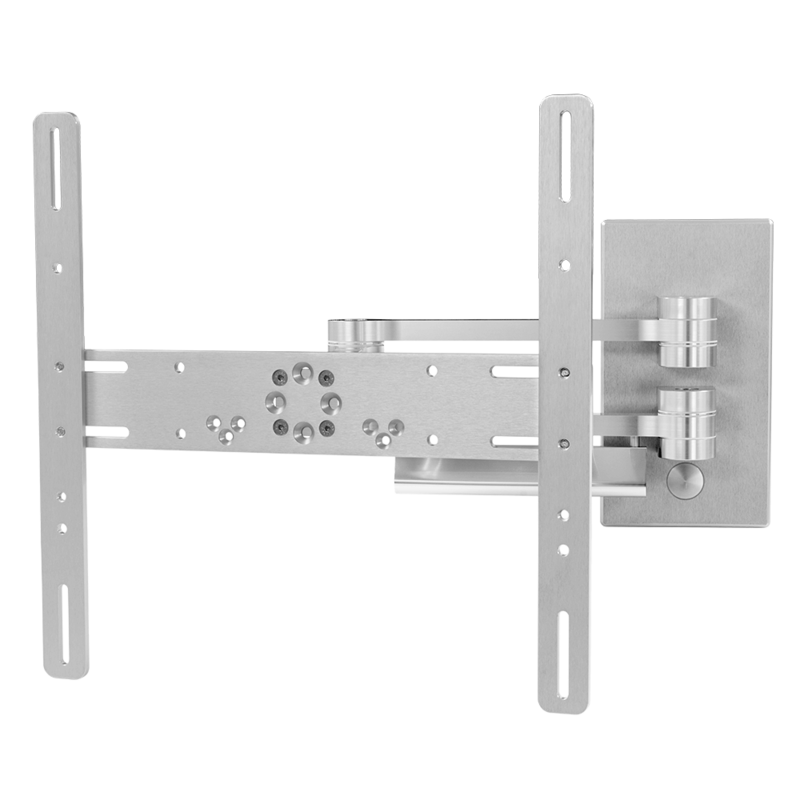 Motorised bracket for mounting a screen on a flat or pitched ceiling. 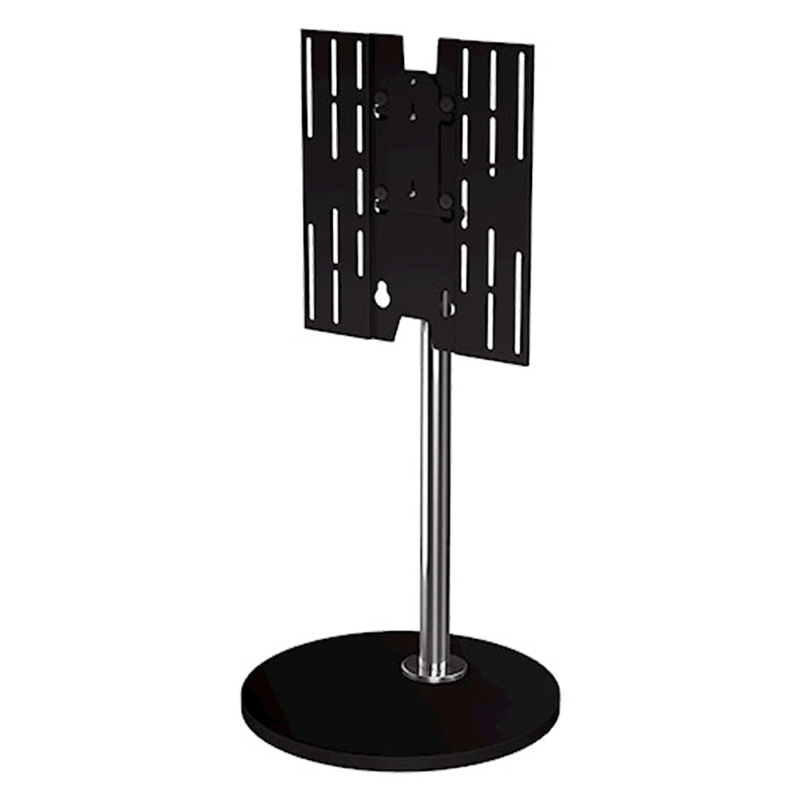 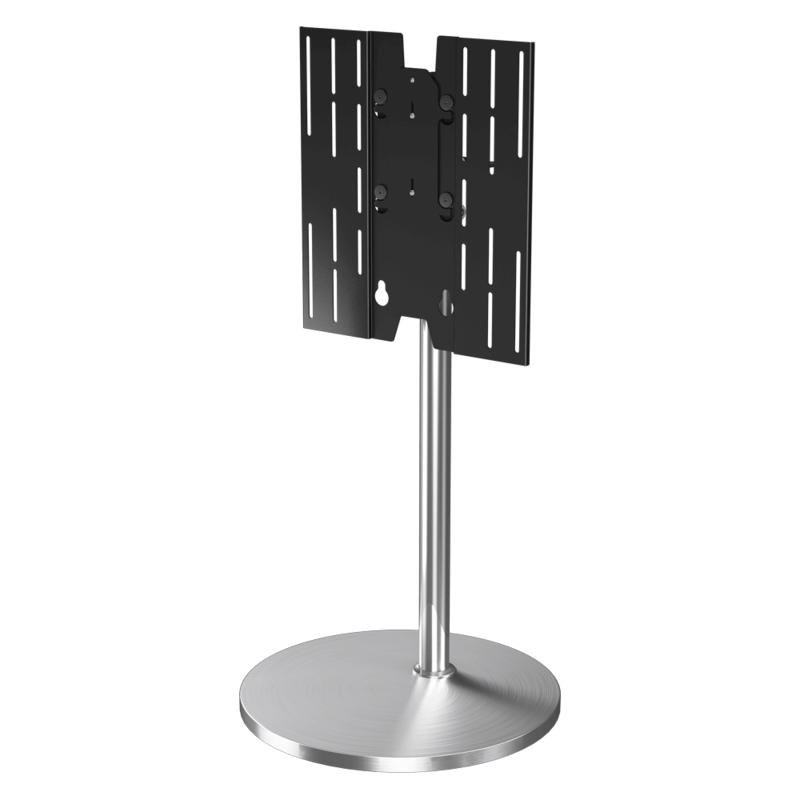 Floor stand for screens with spun stainless steel base. 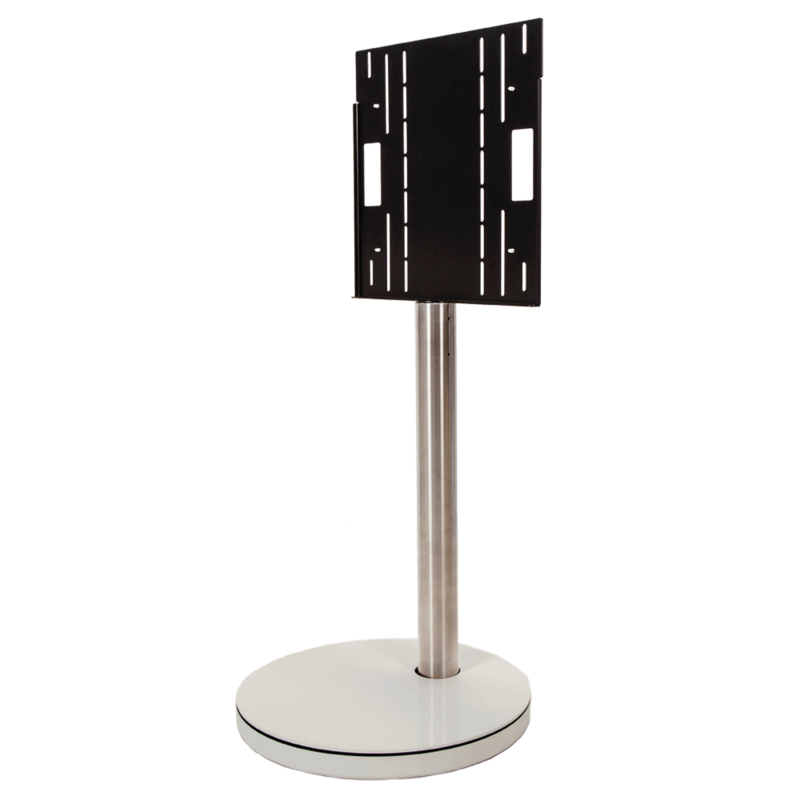 Floor stand for screens with spun black base. 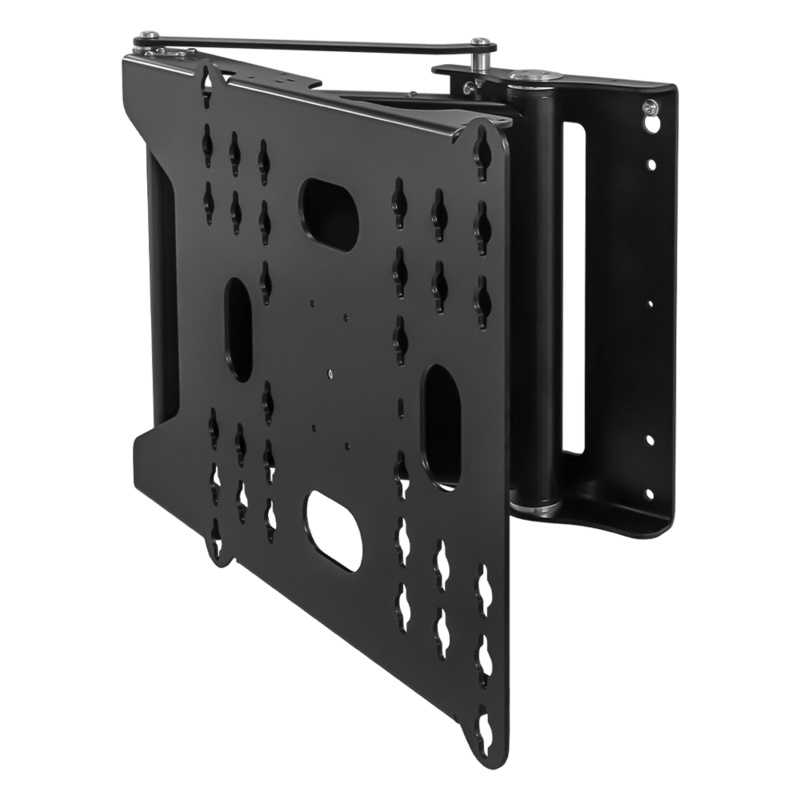 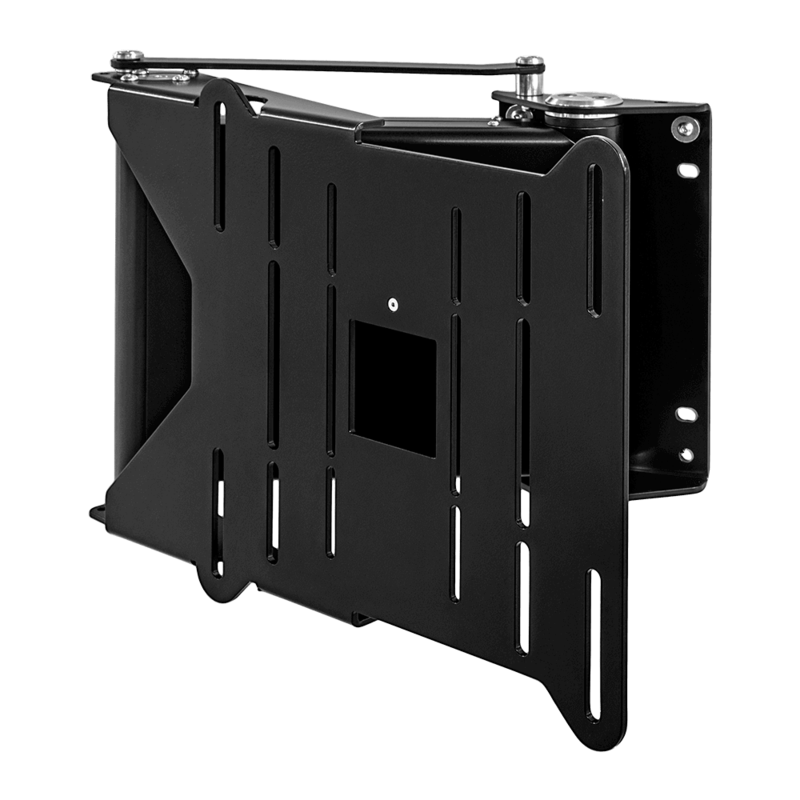 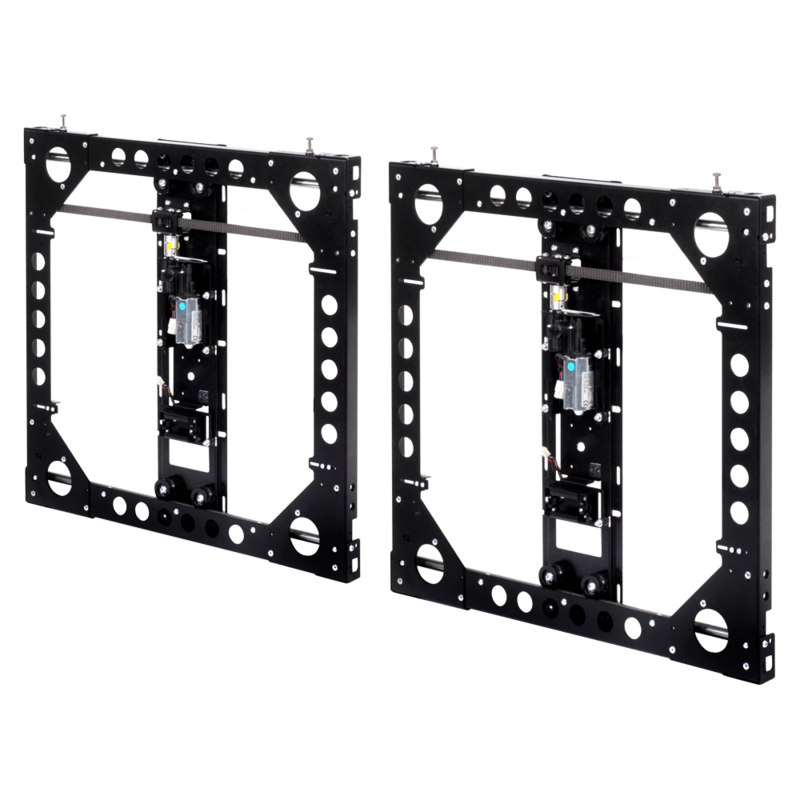 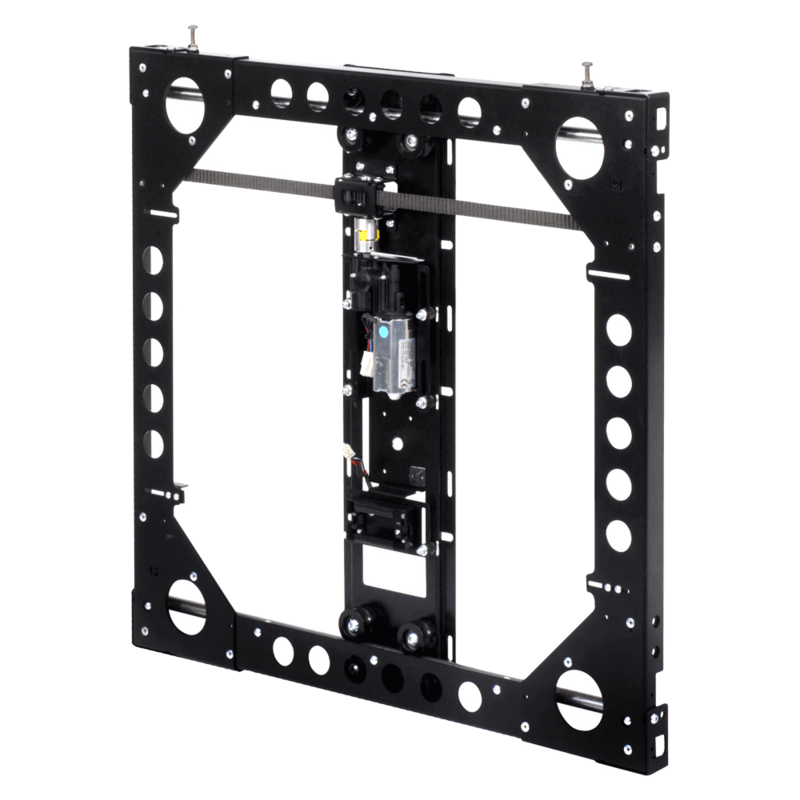 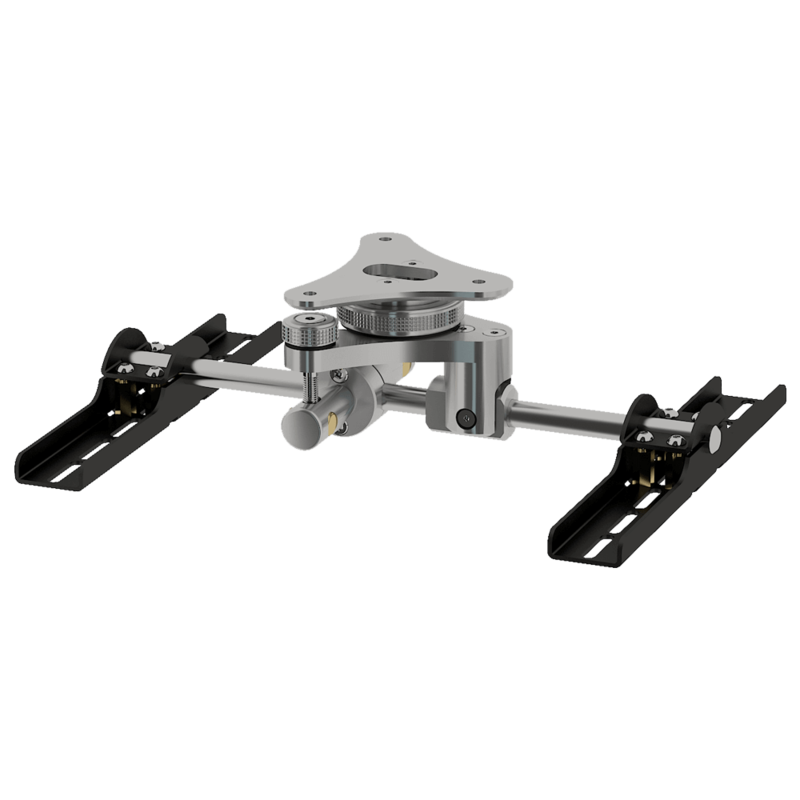 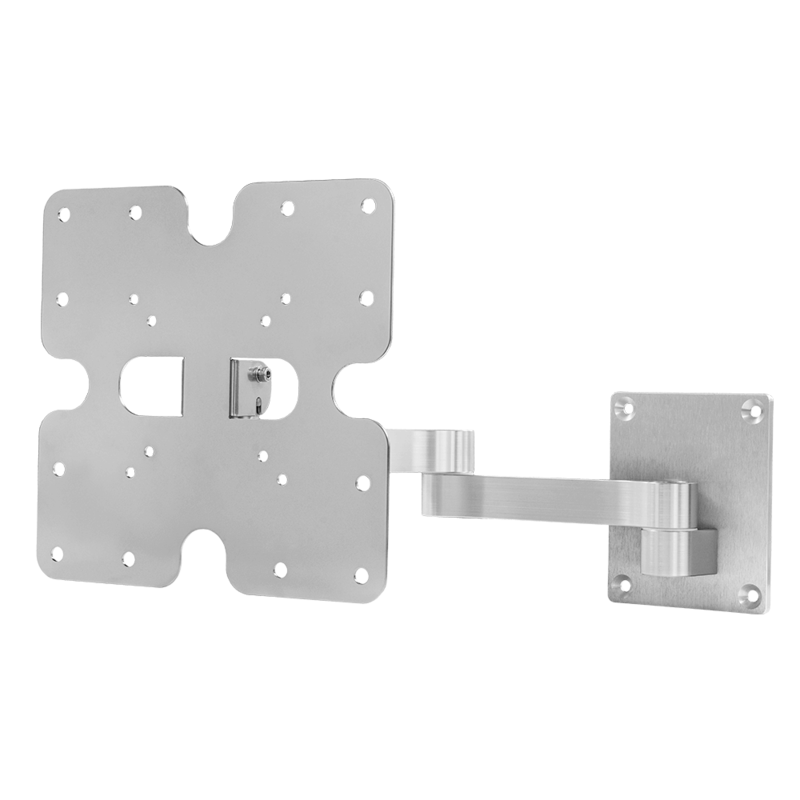 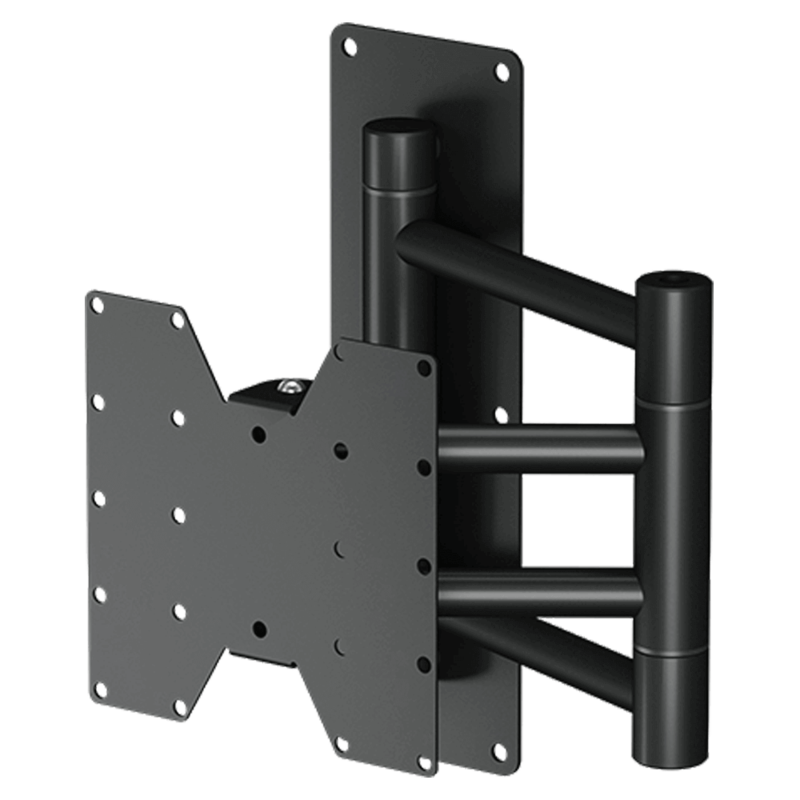 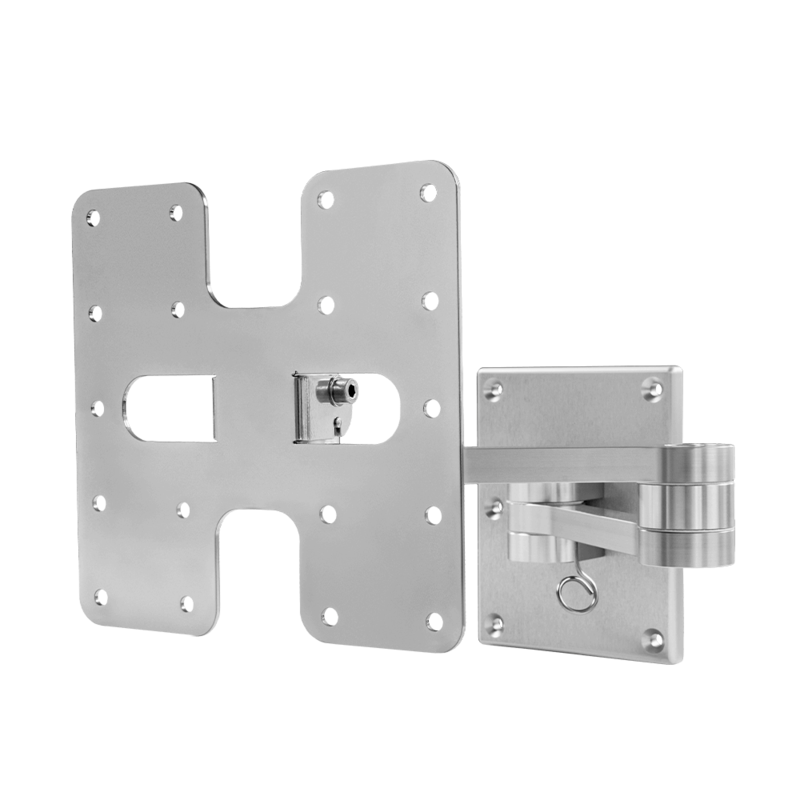 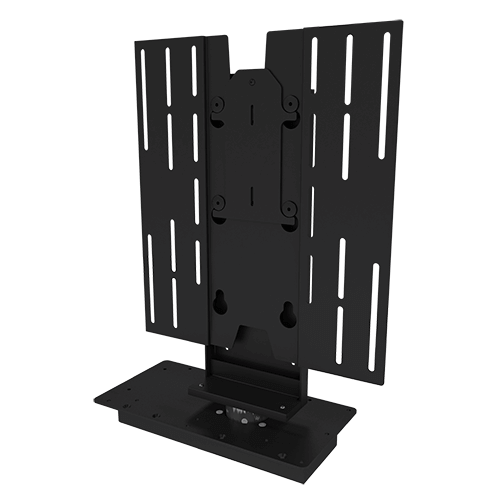 TV floor mount with smooth motorised swivel feature for multiple viewing angles. 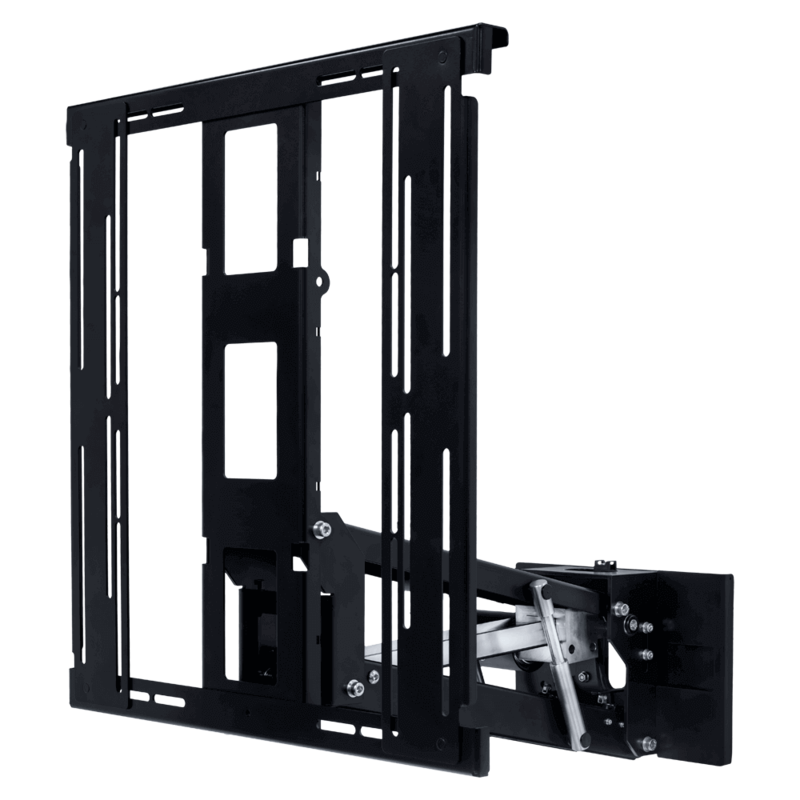 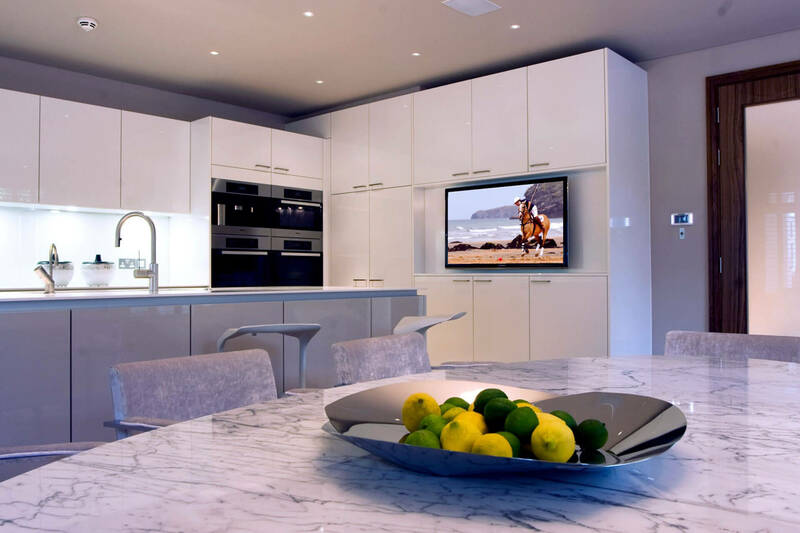 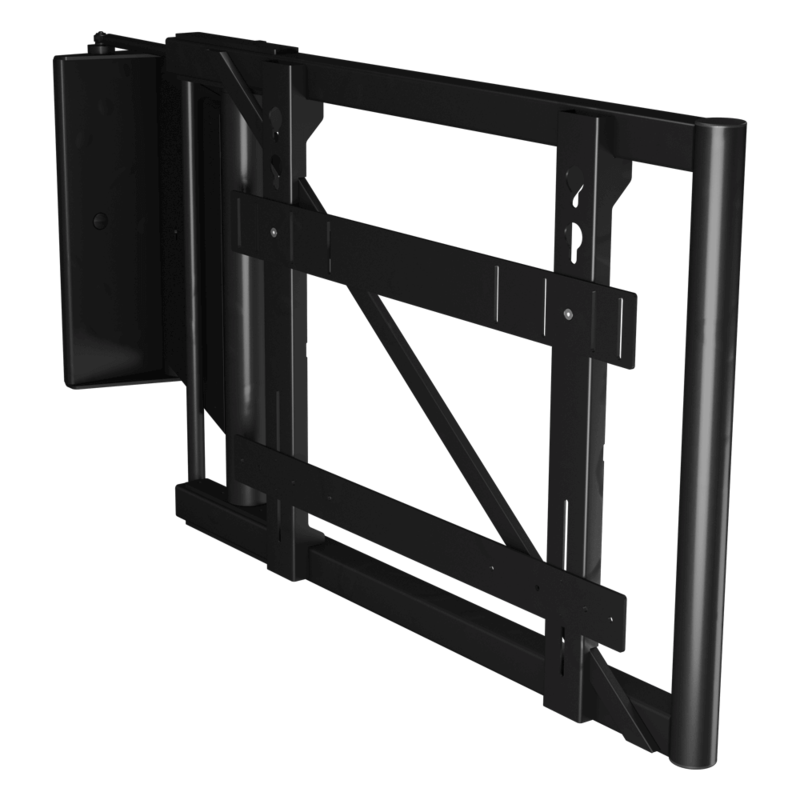 Horizontal TV Lift 32" - 75"
Stores a screen in the wall, negating the need for furniture. 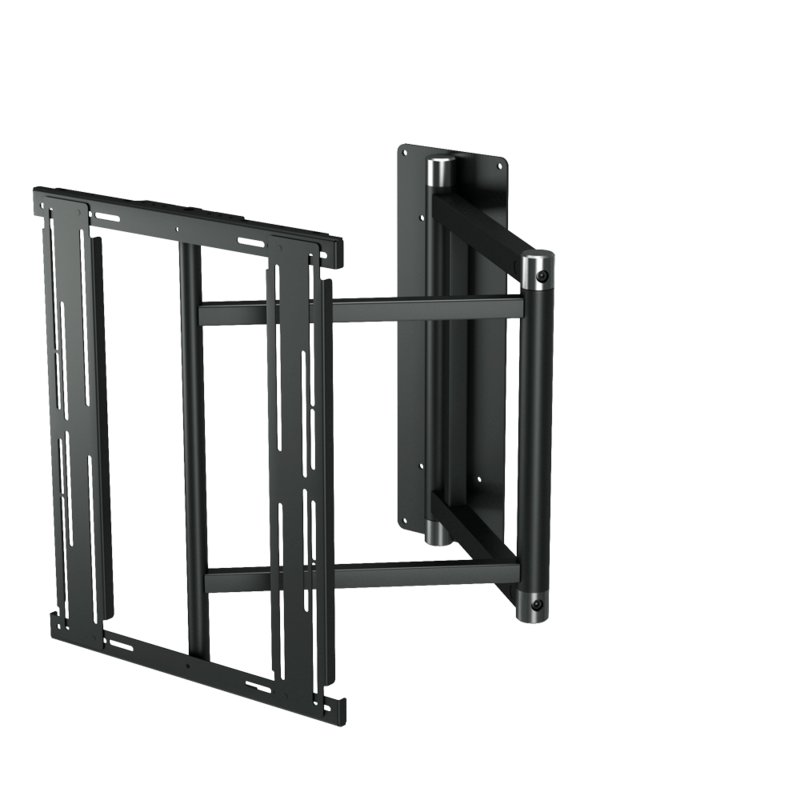 Stores a screen in the wall & hinges, negating the need for furniture. 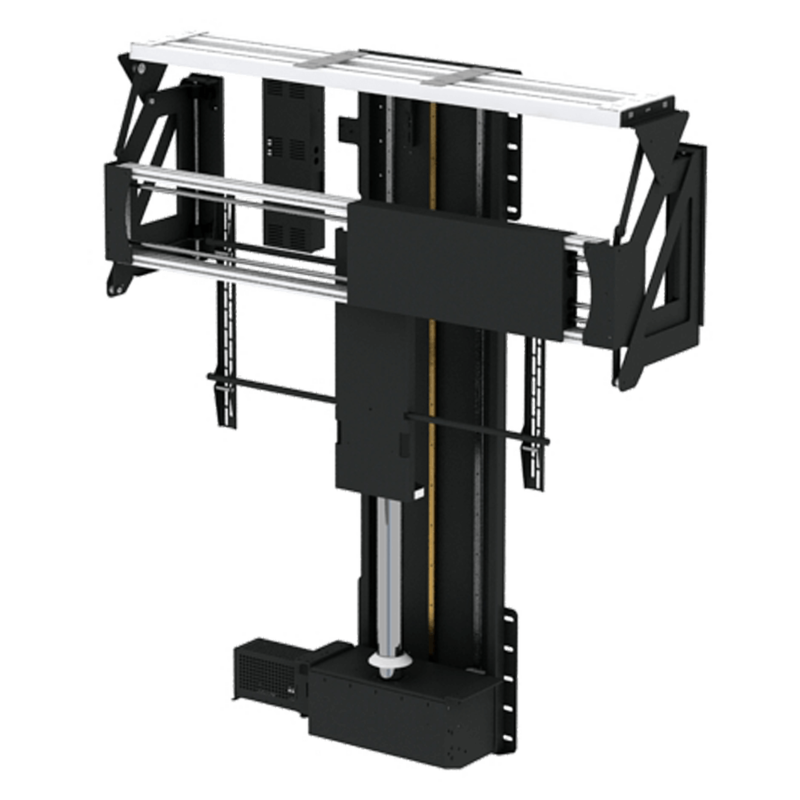 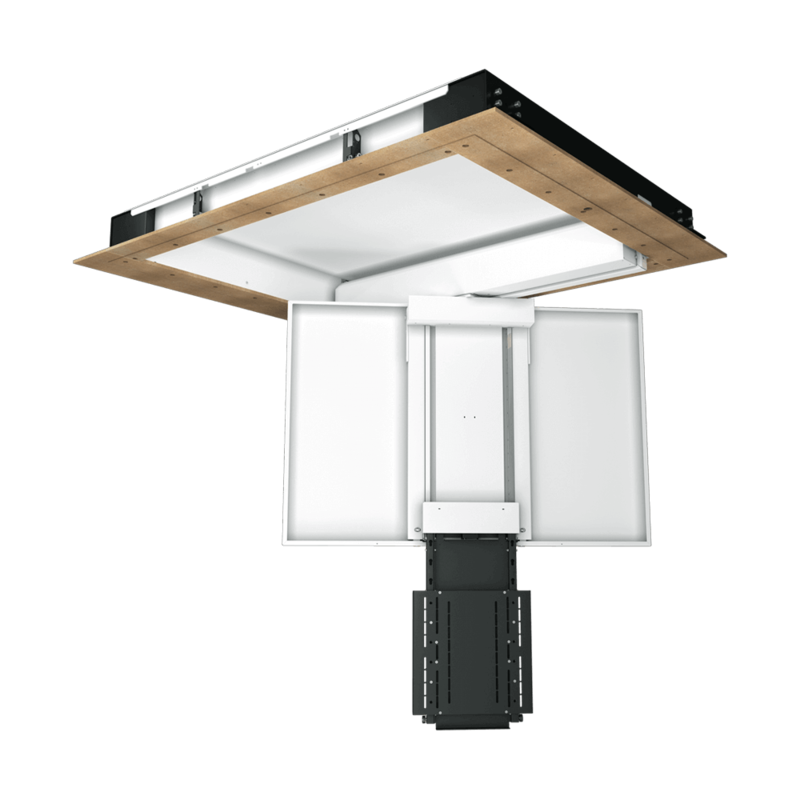 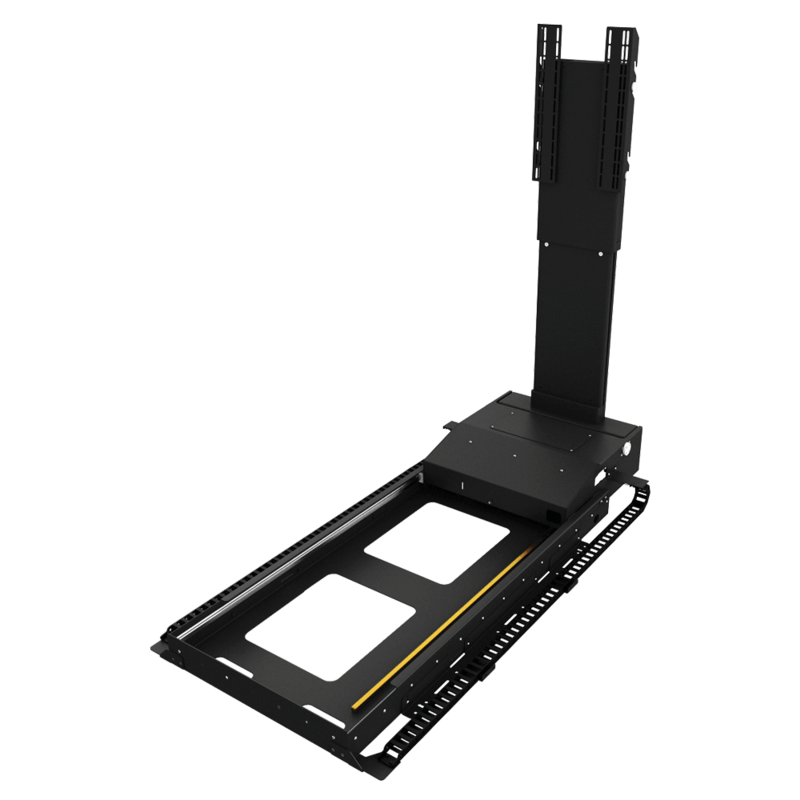 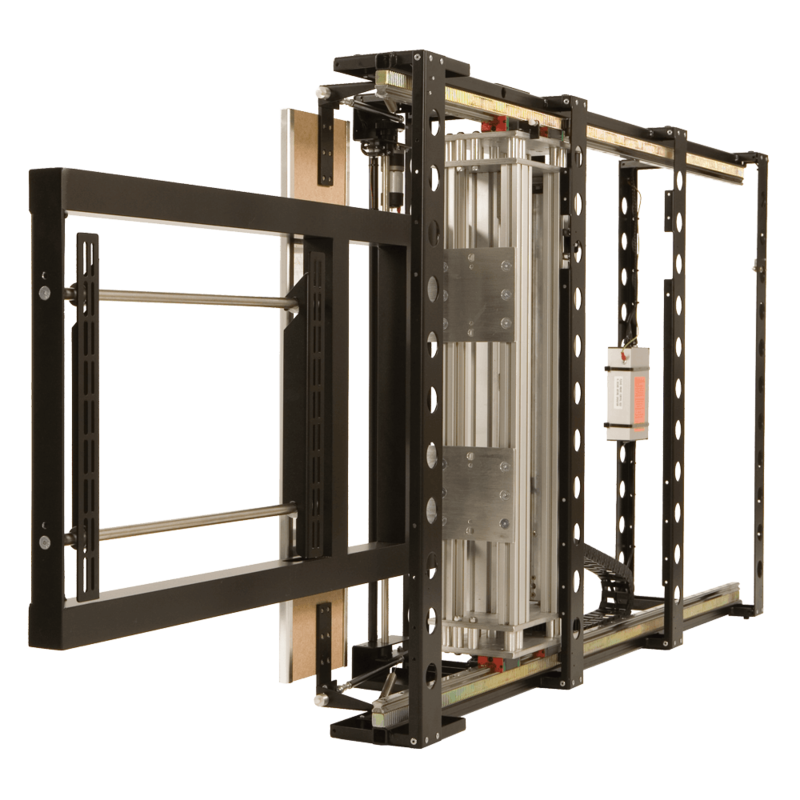 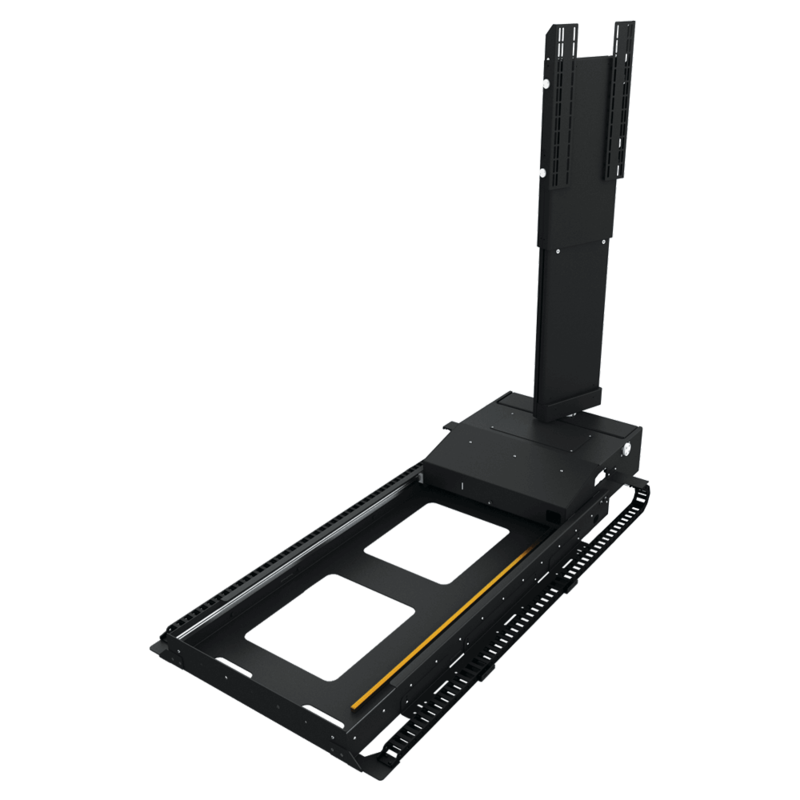 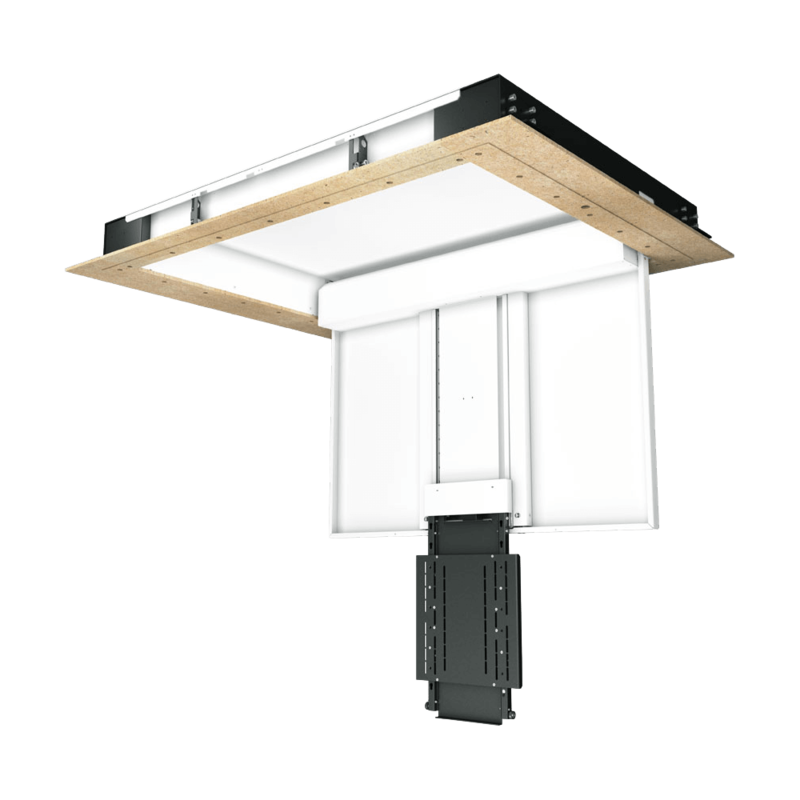 2 Different lift options make this lift ideal for any project. 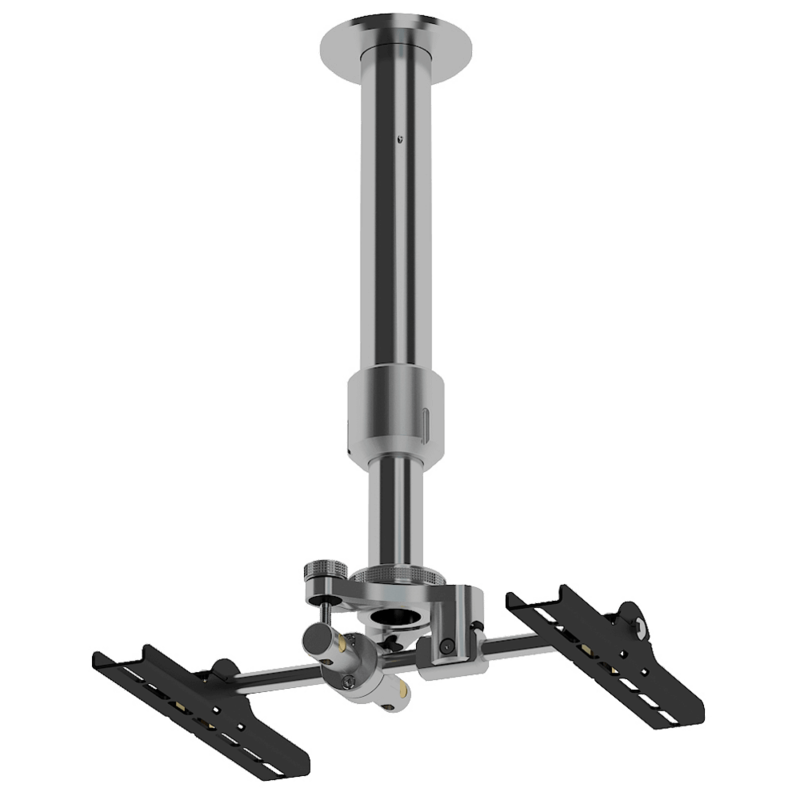 TV Lift & Telescope 50"-65"
Telescopic lift ideal for projects with limited height. 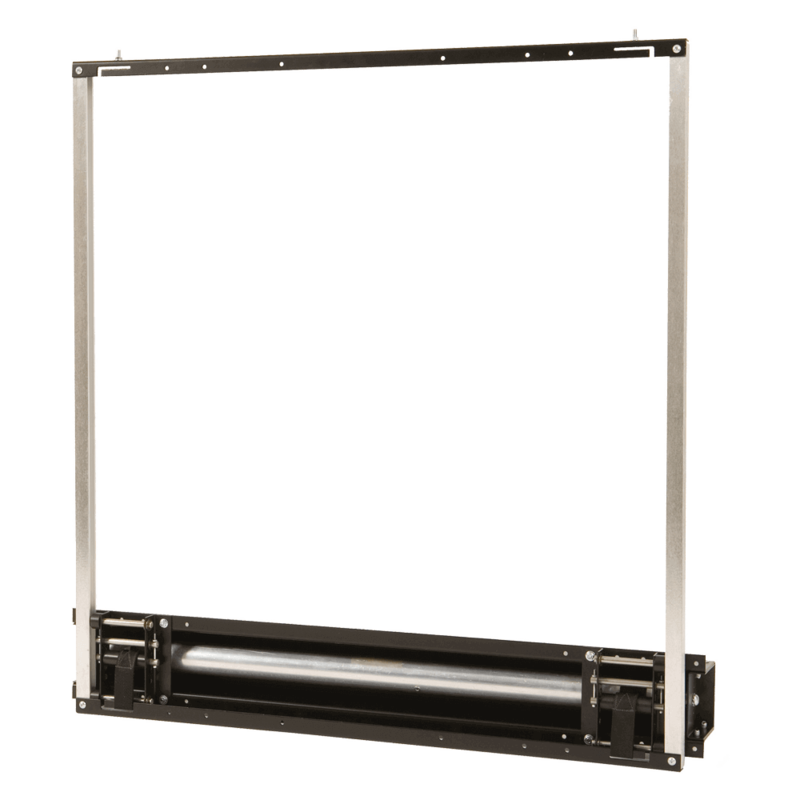 Conceal a screen in the wall behind a large vertically moving picture. 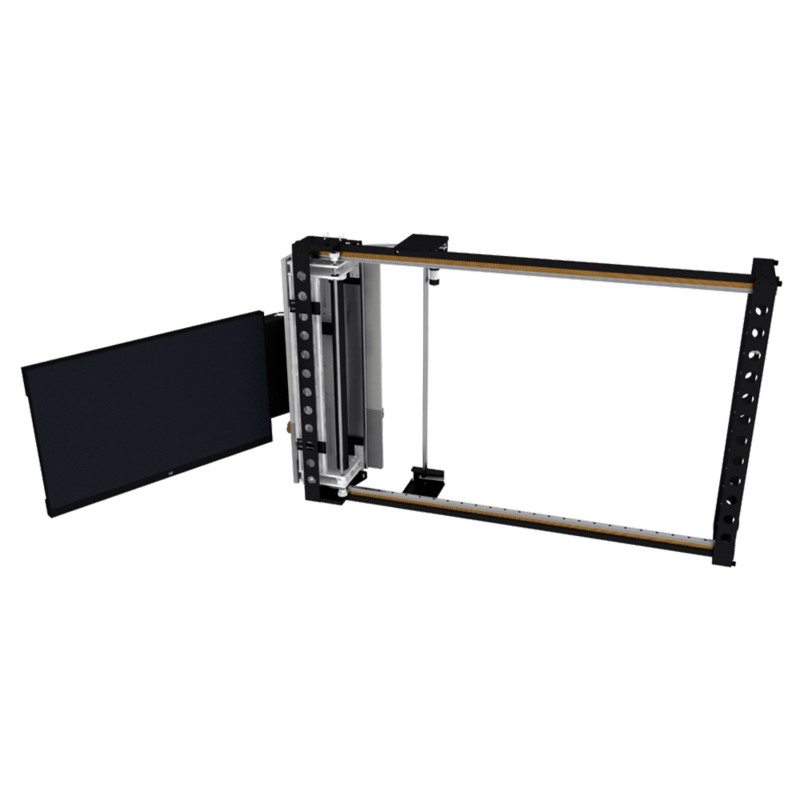 Conceal a screen in the wall behind a horizontally moving moving picture. 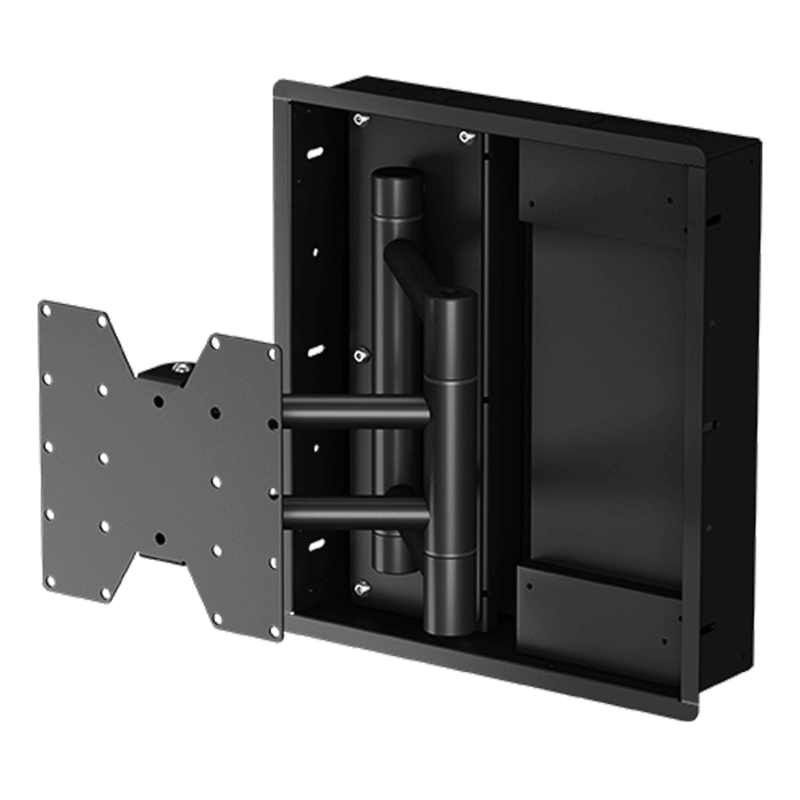 Conceal a screen in the wall behind 2 horizontally moving pictures. 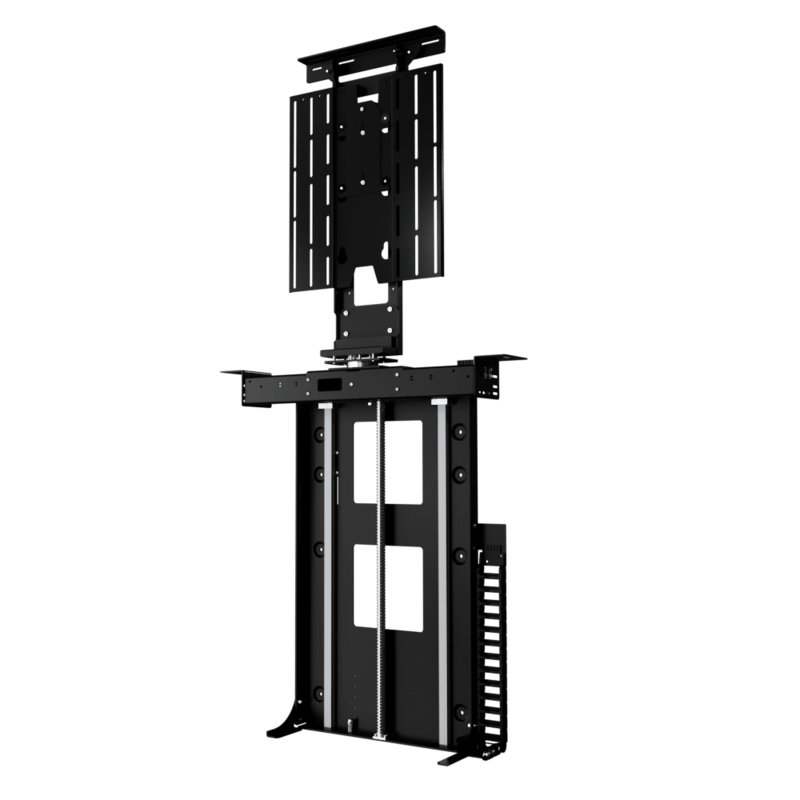 Stores a screen under the floor negating the need for furniture, with unique walk-on drop & roll flap. 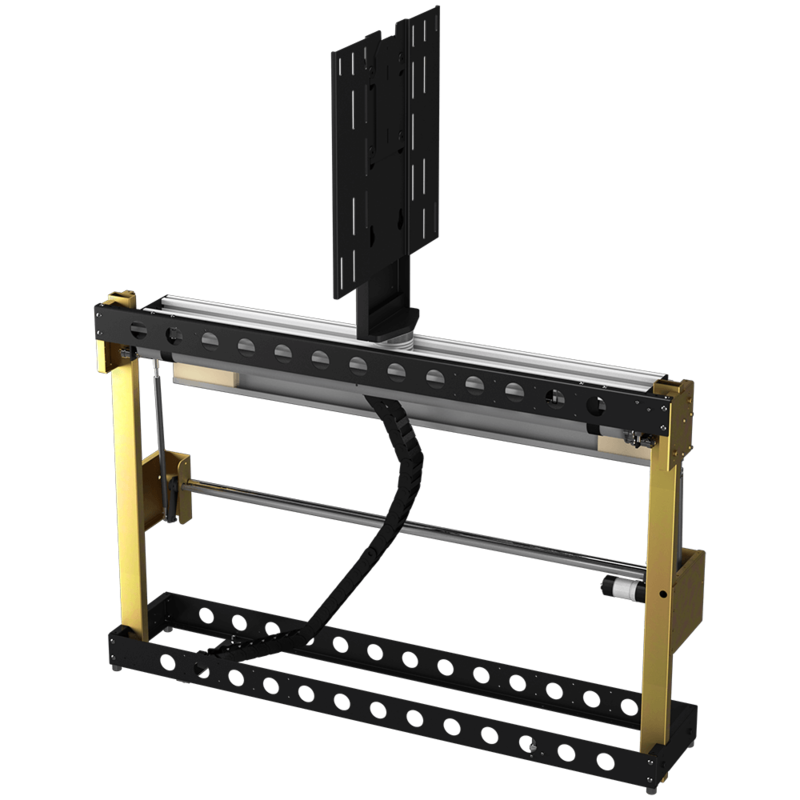 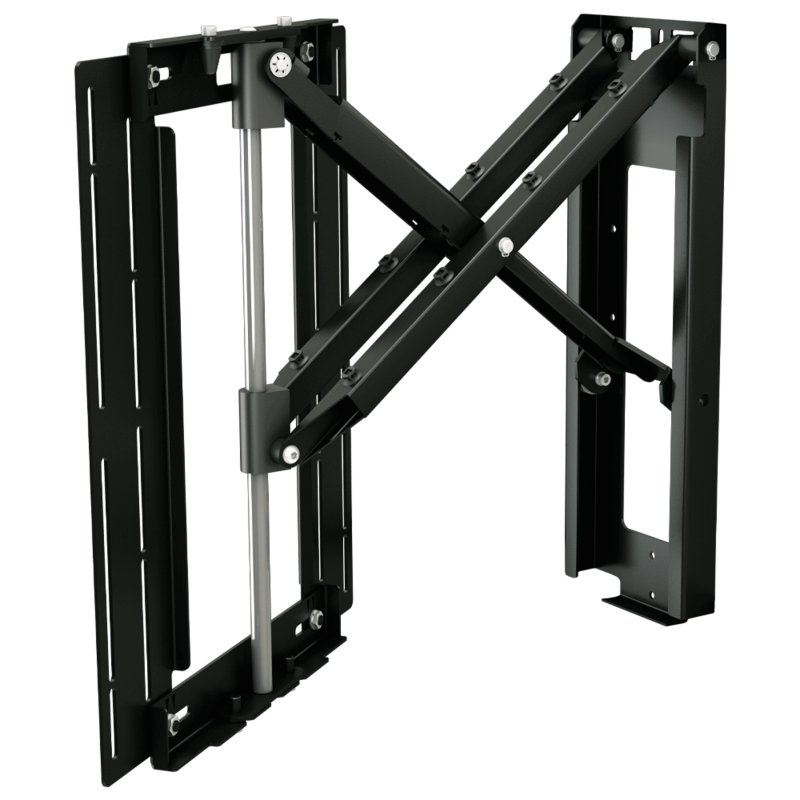 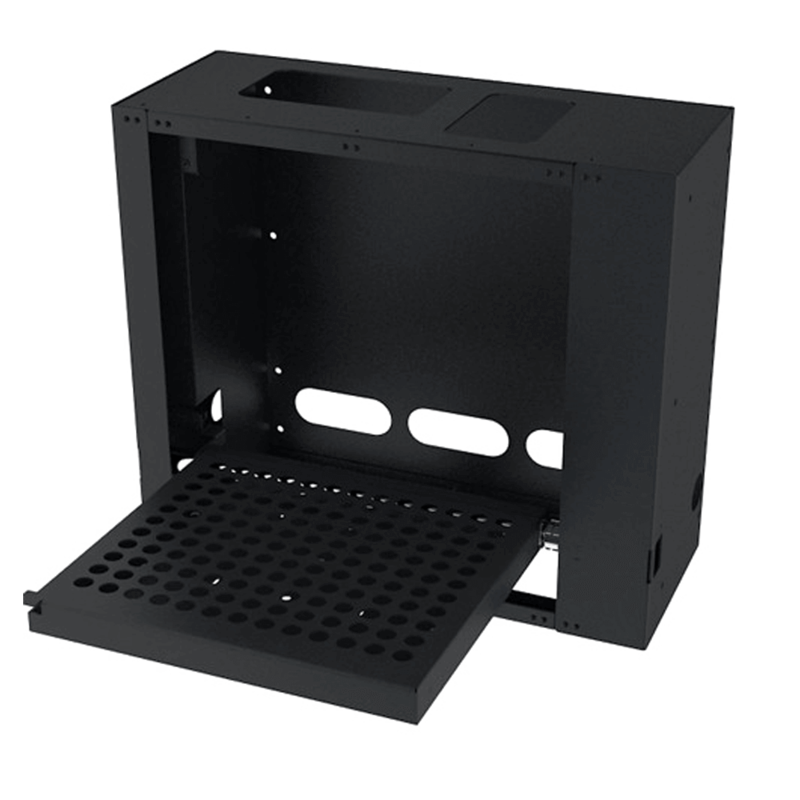 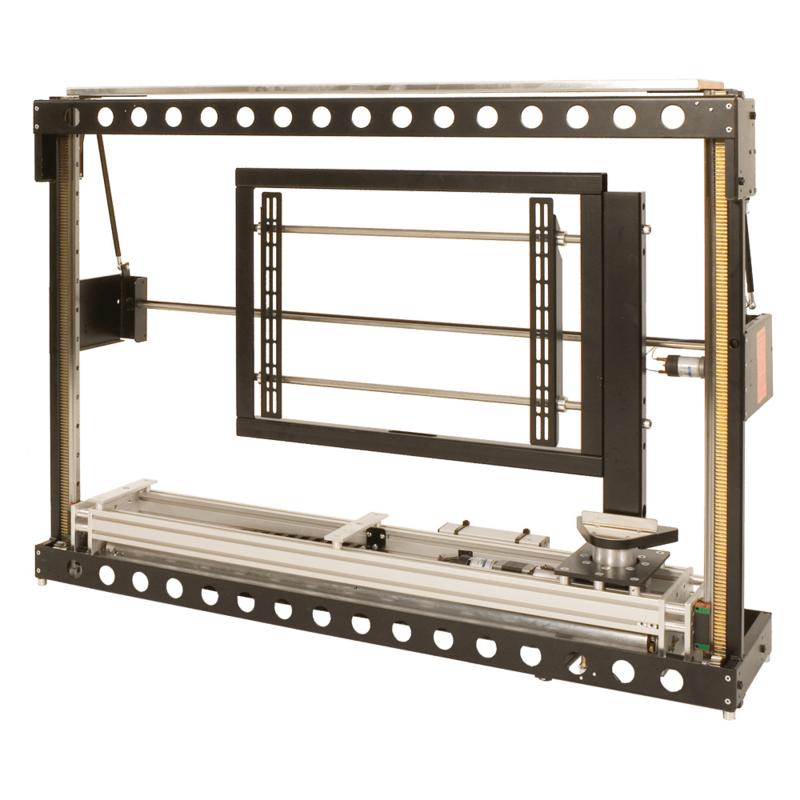 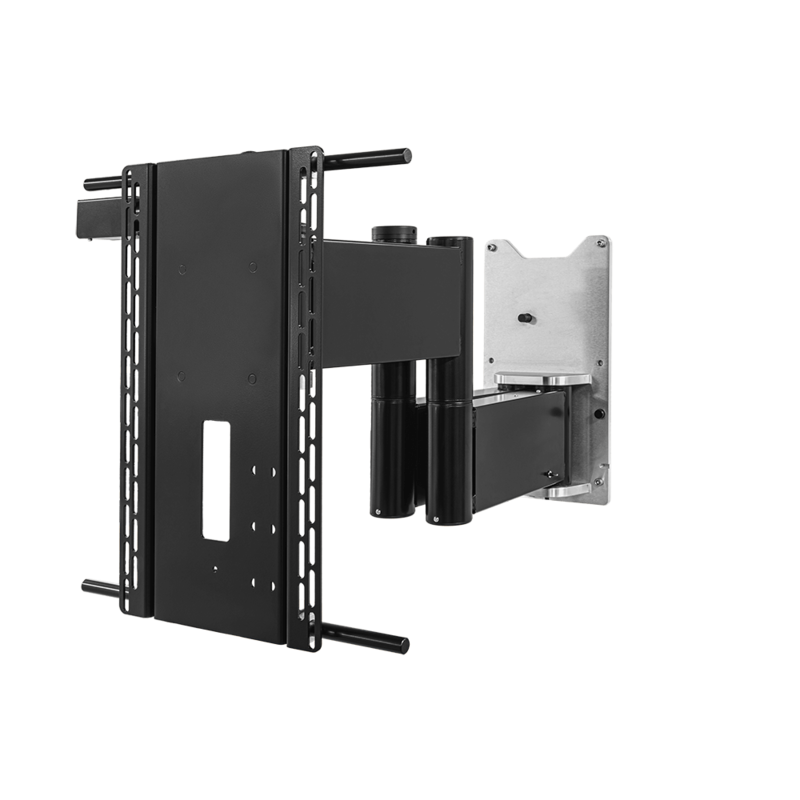 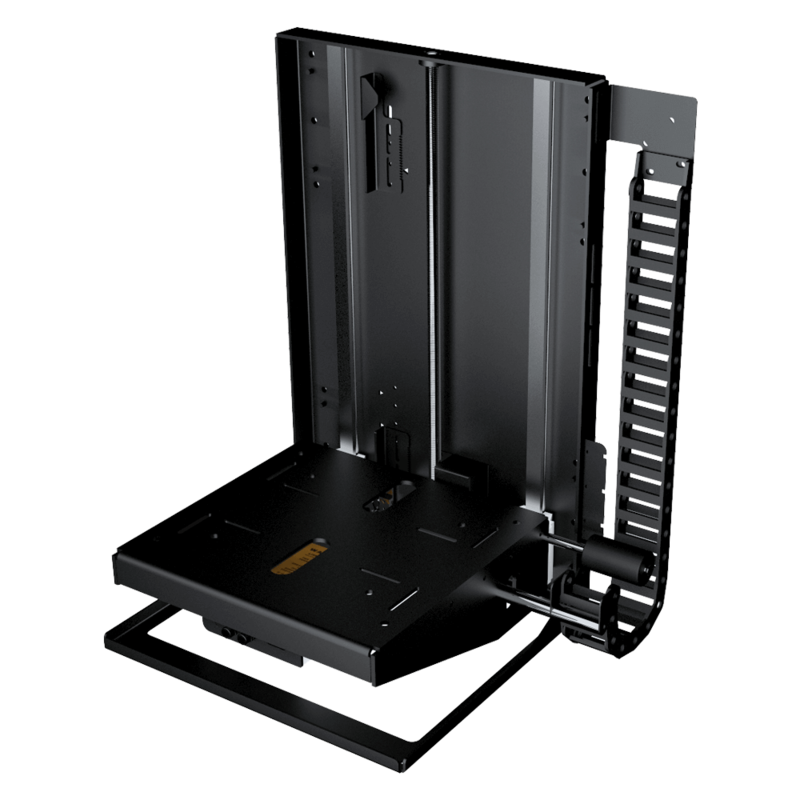 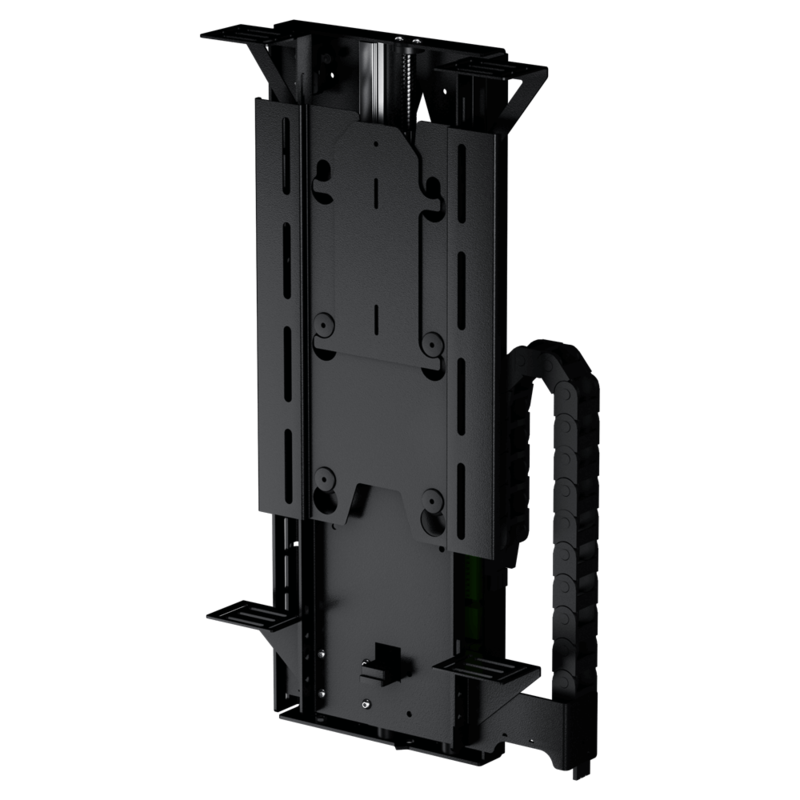 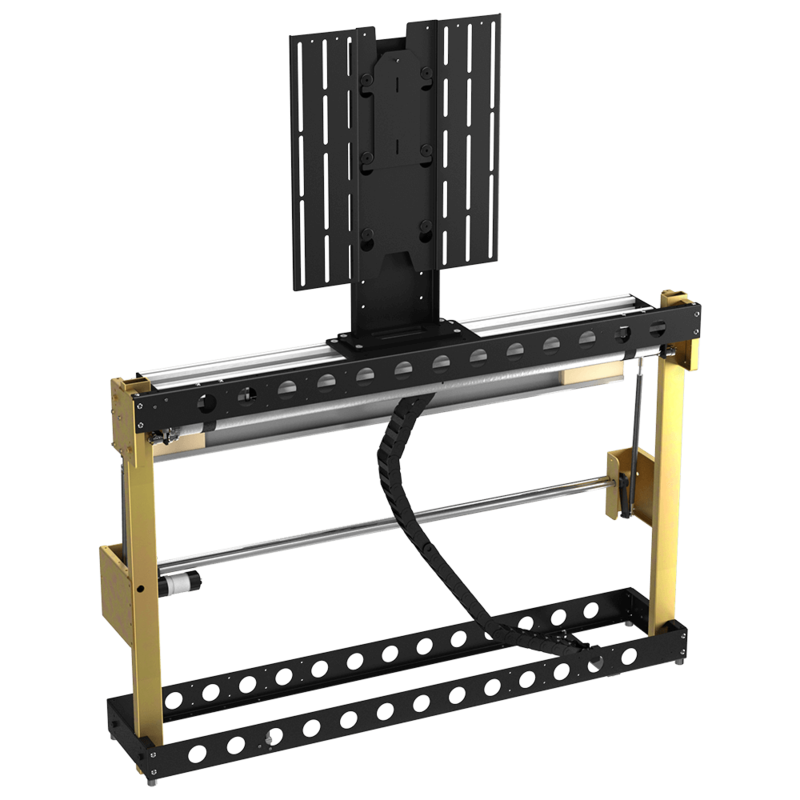 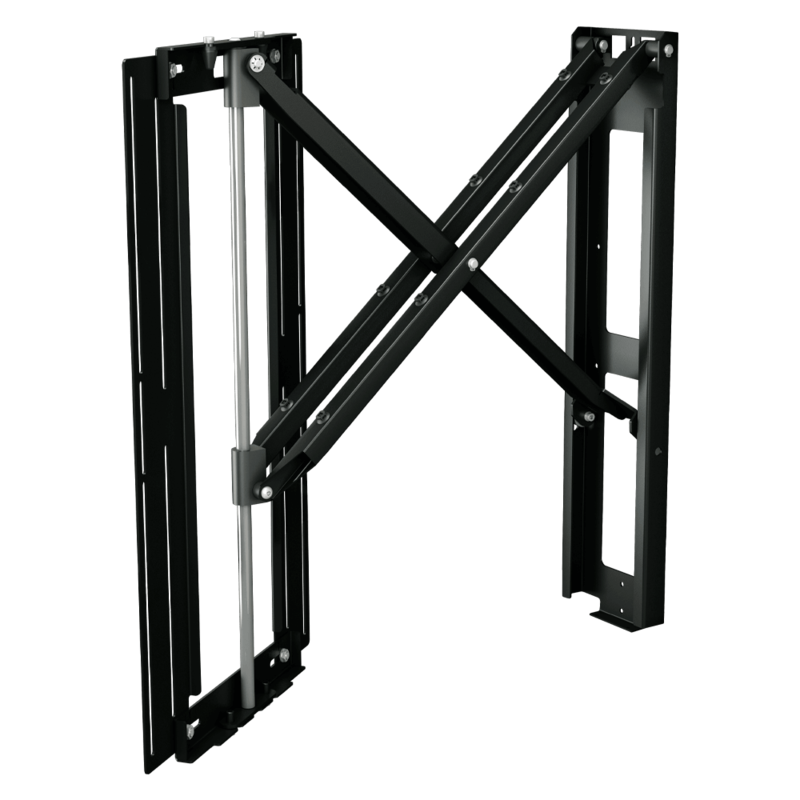 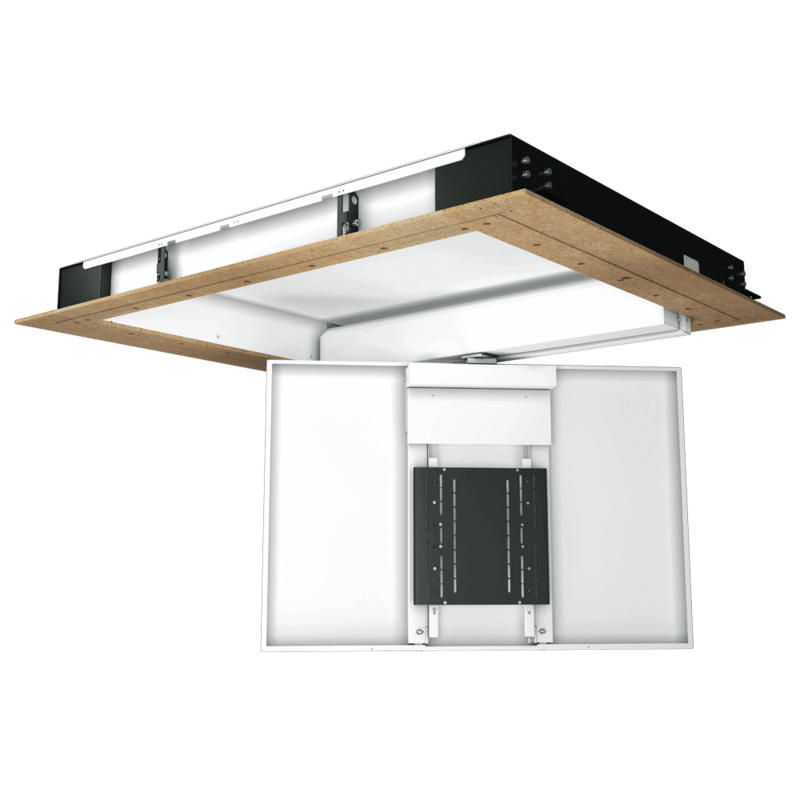 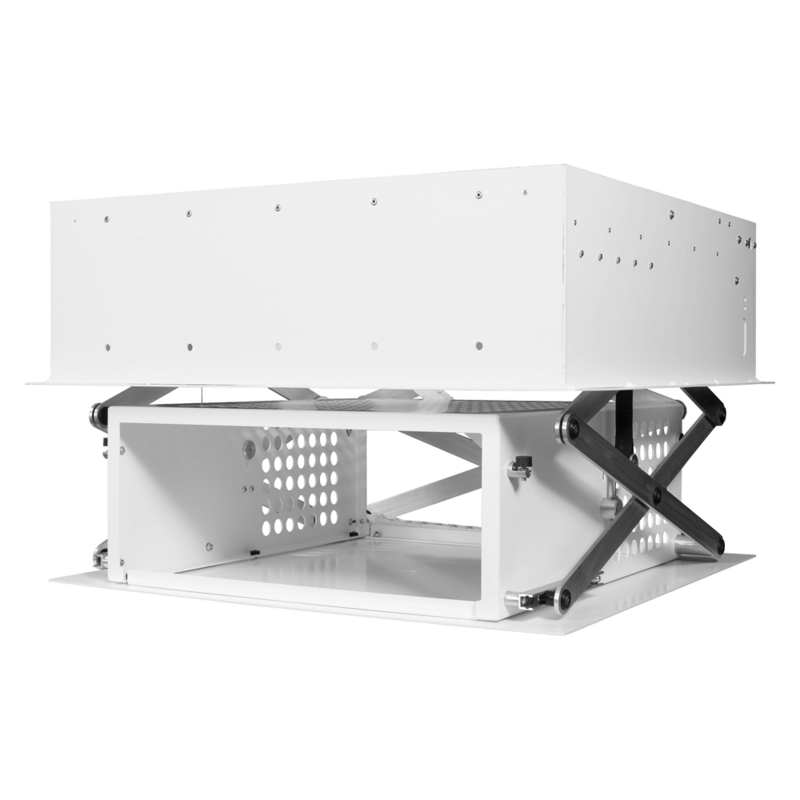 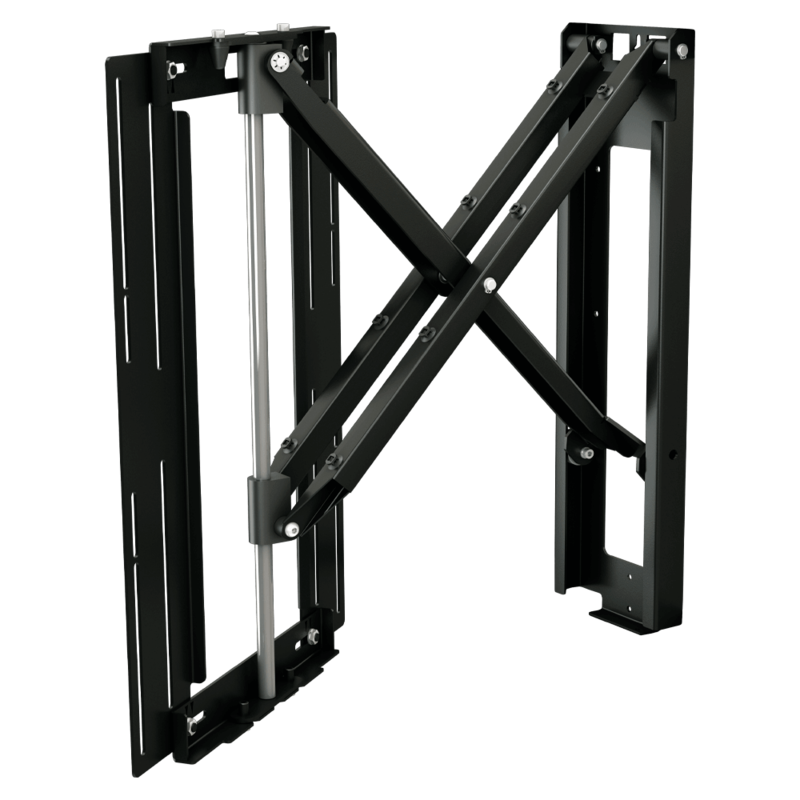 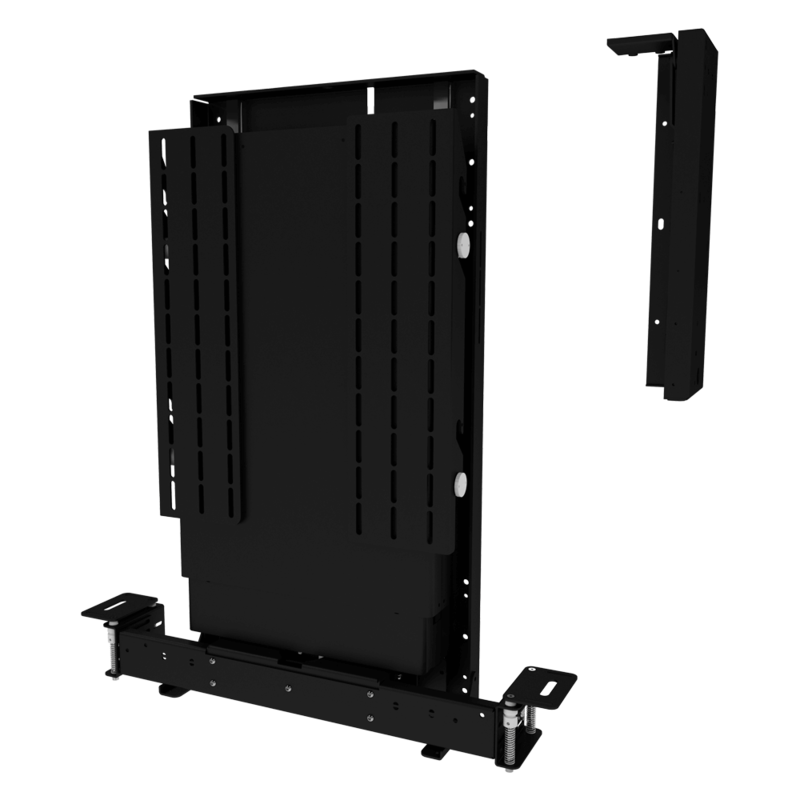 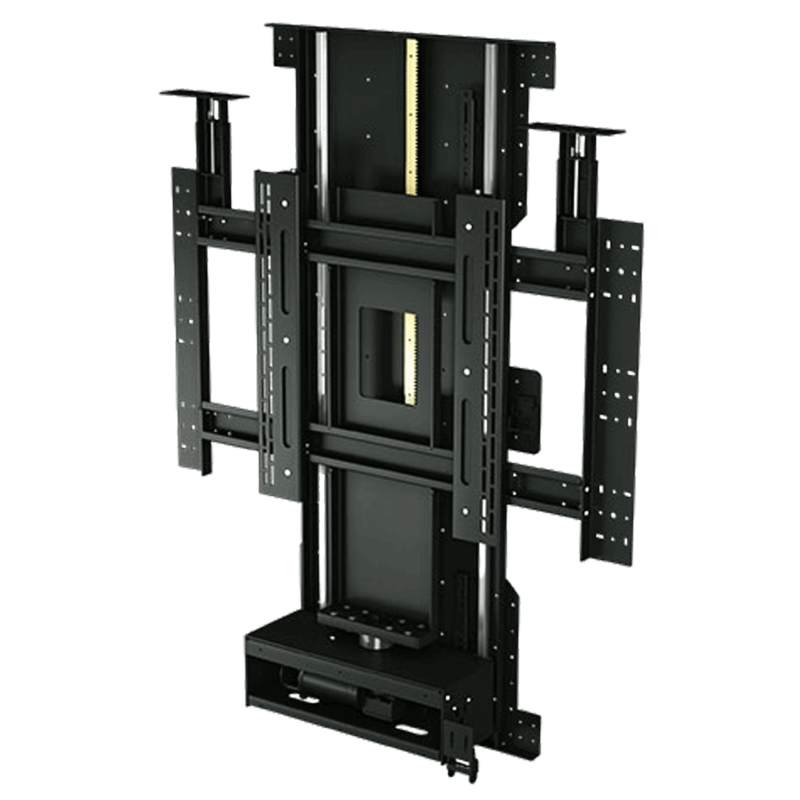 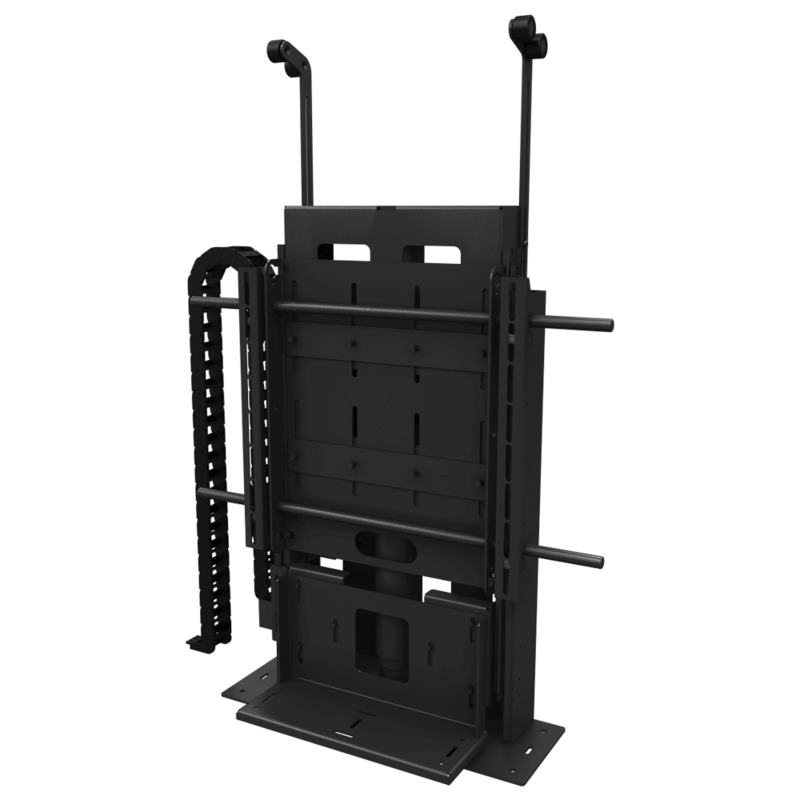 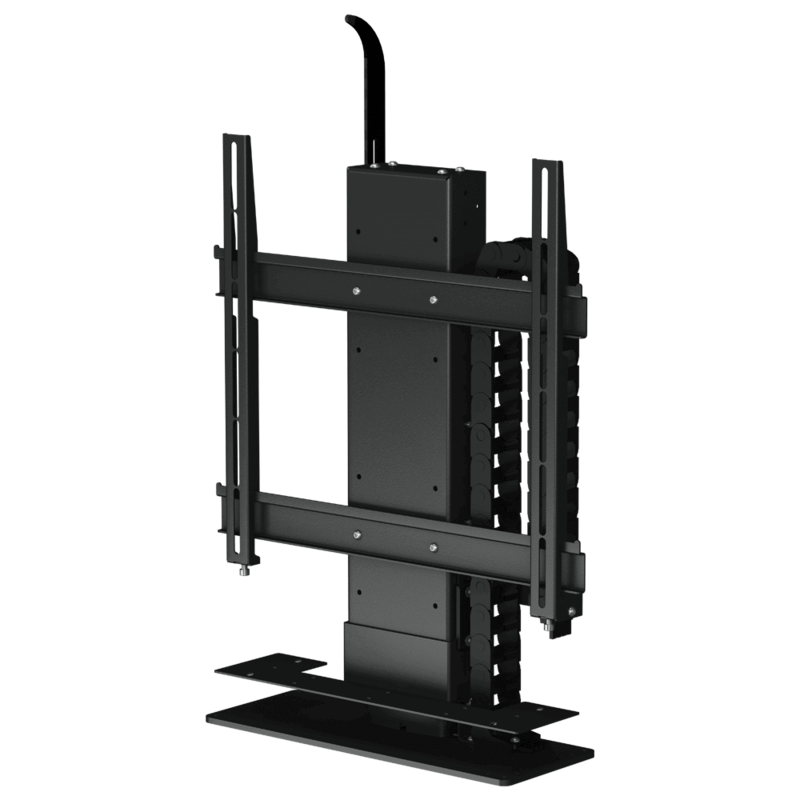 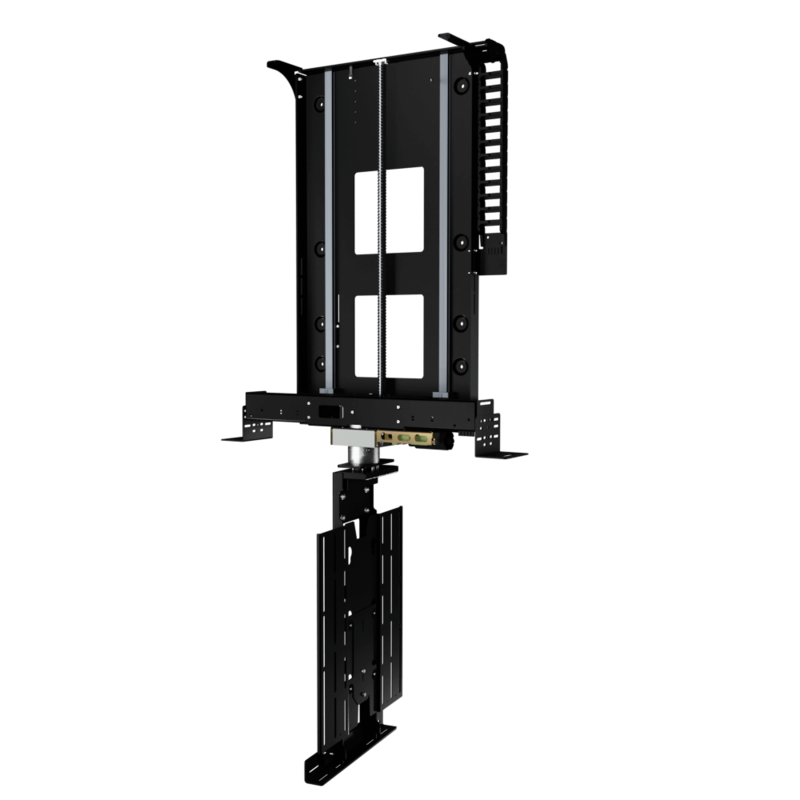 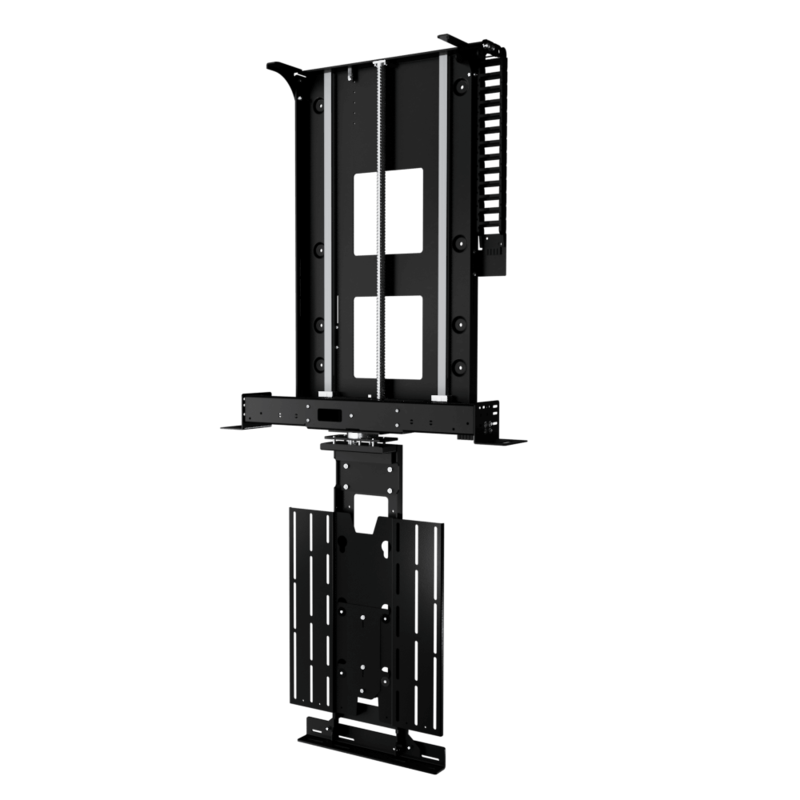 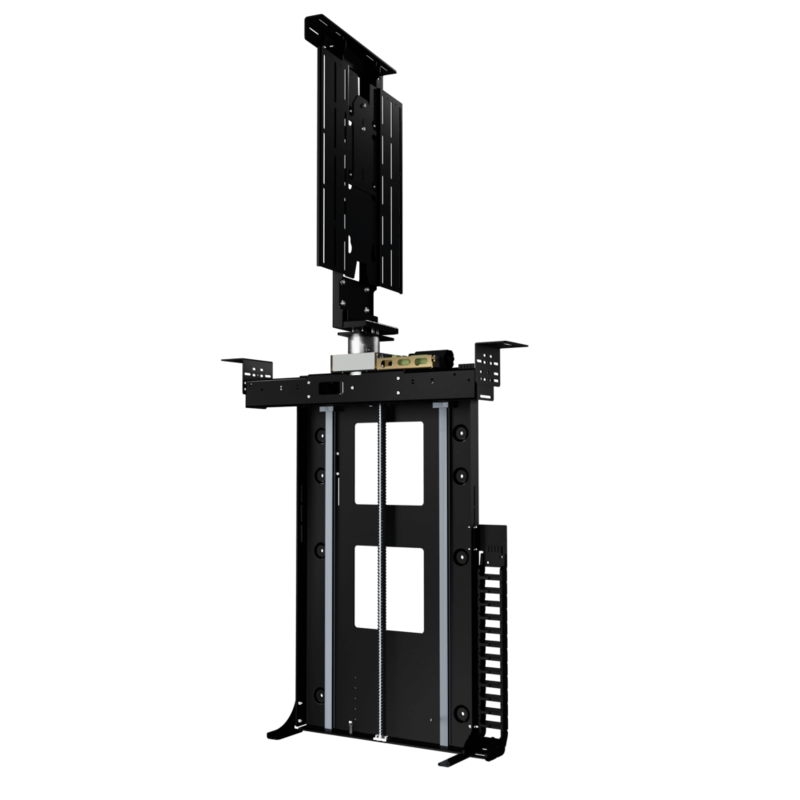 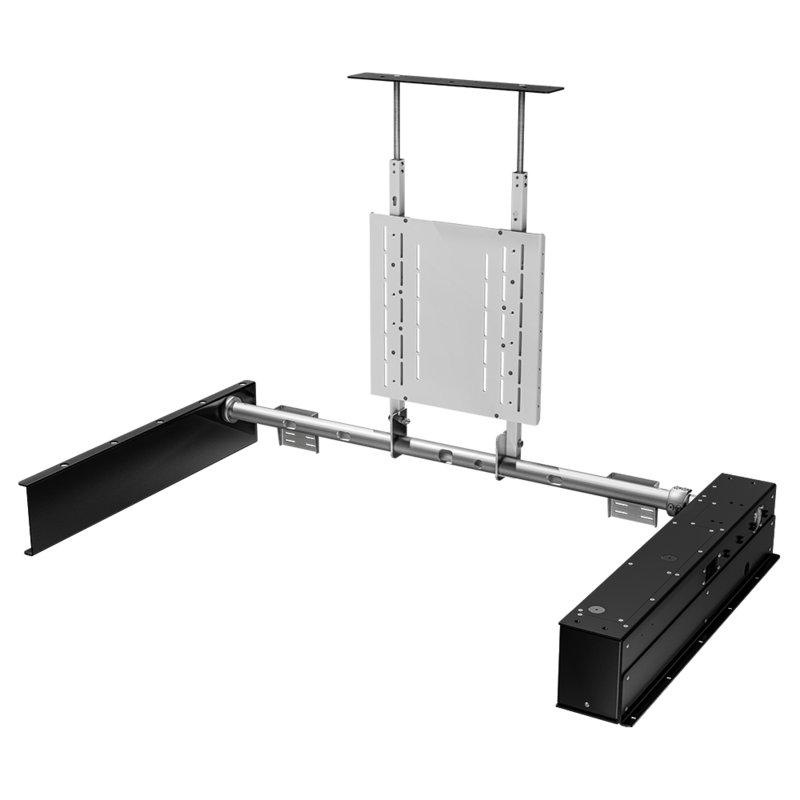 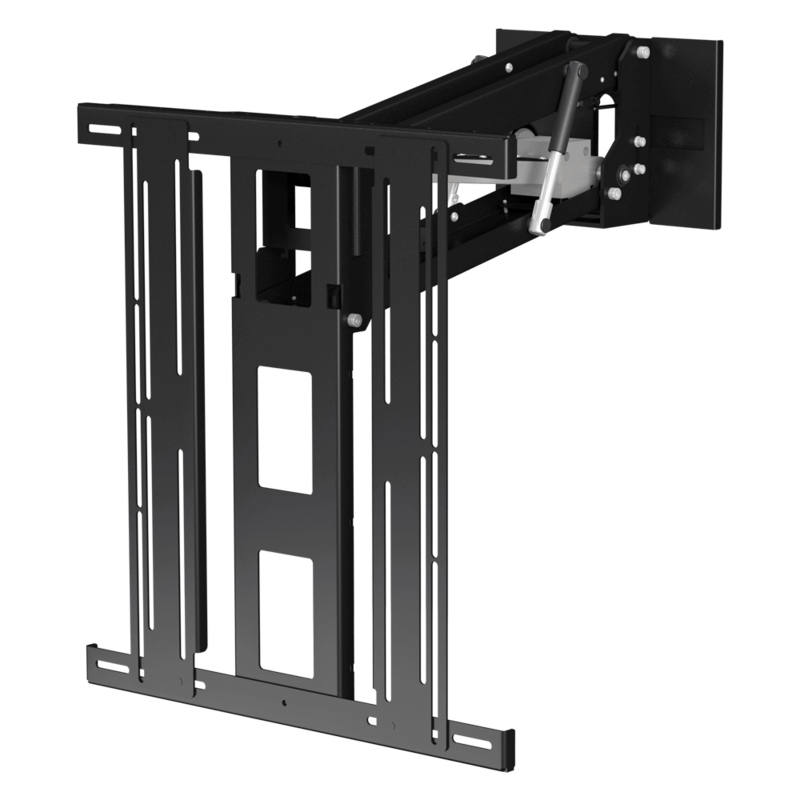 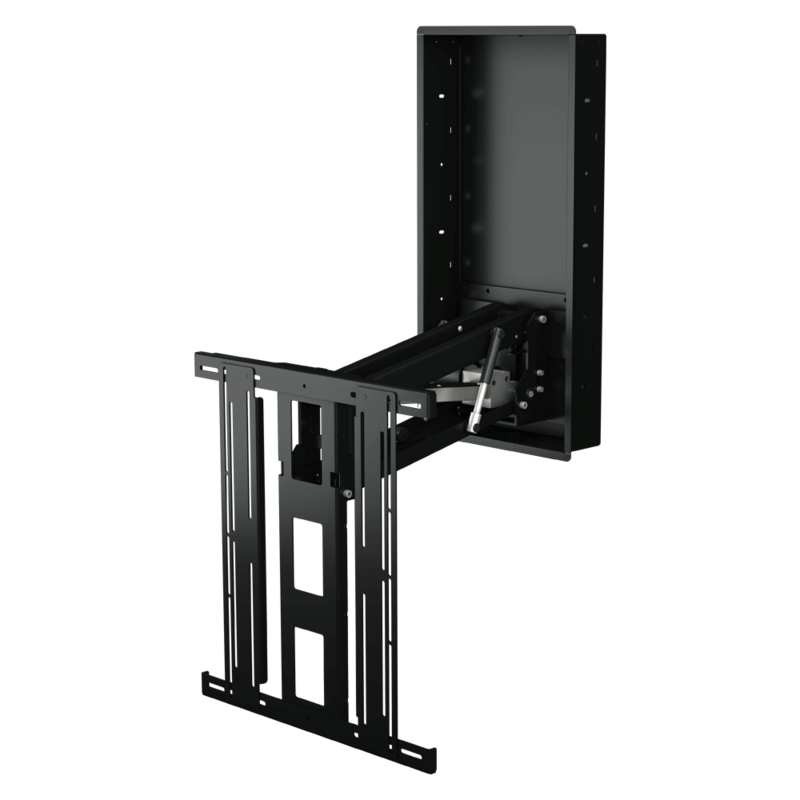 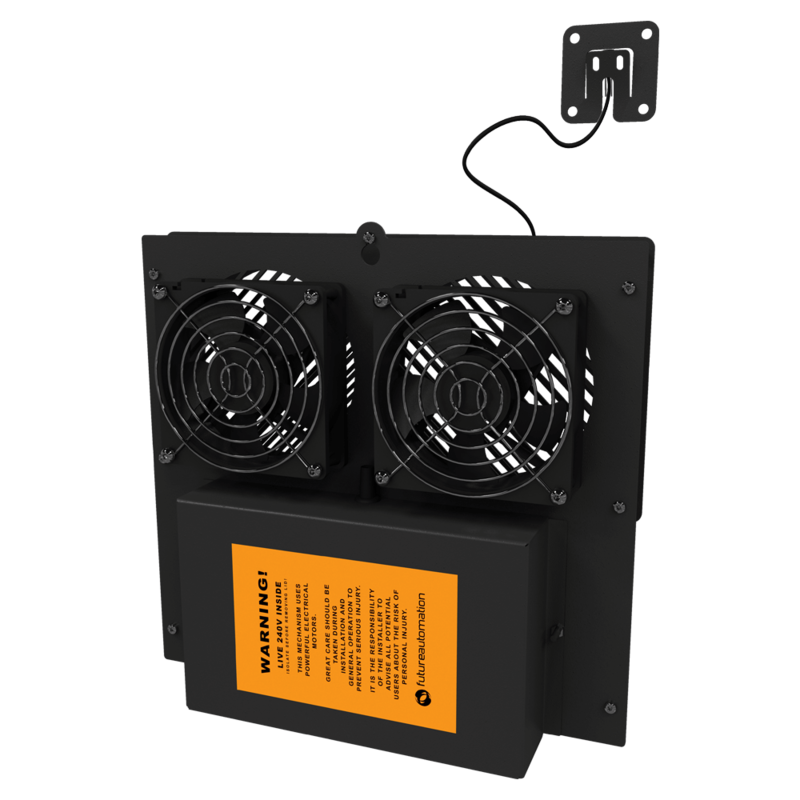 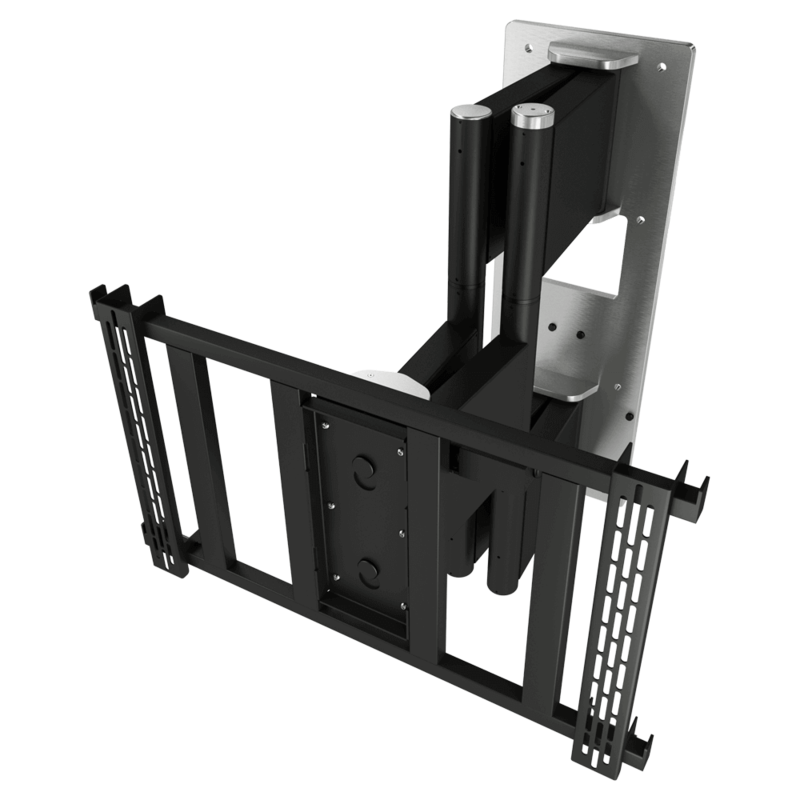 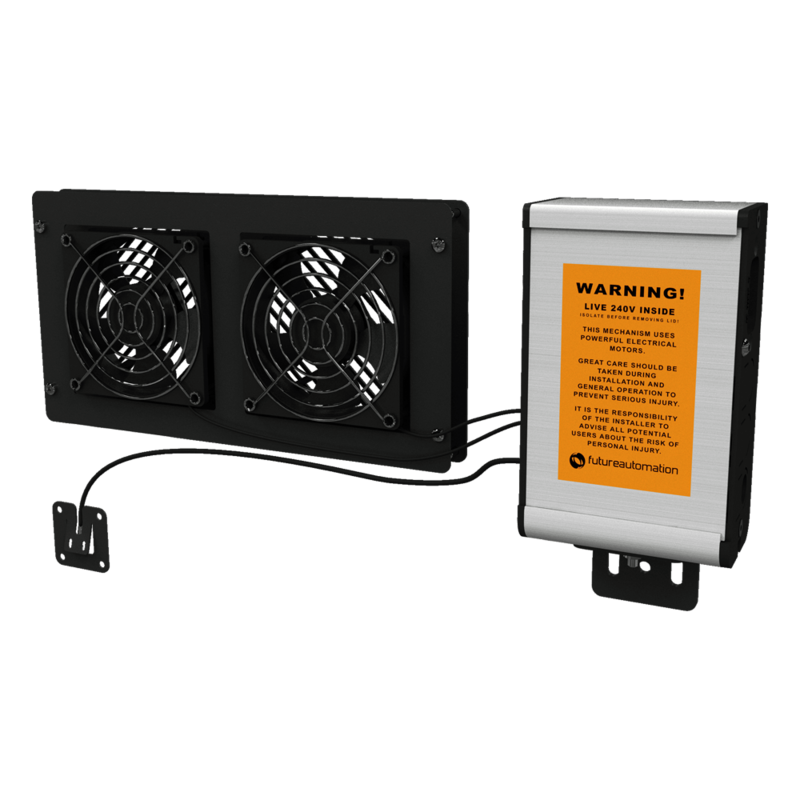 TV Lift & Hinge 32"-60"
TV Lift & Swivel 32"-60"
A shelf for equipment which forces airflow upwards through the unit to improve airflow aiding the natural convection. 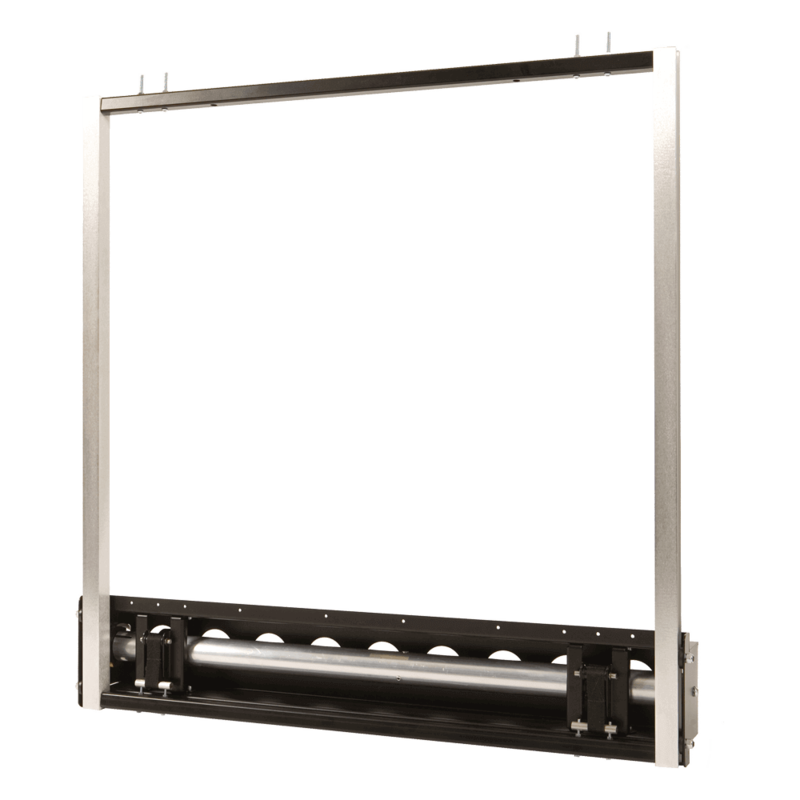 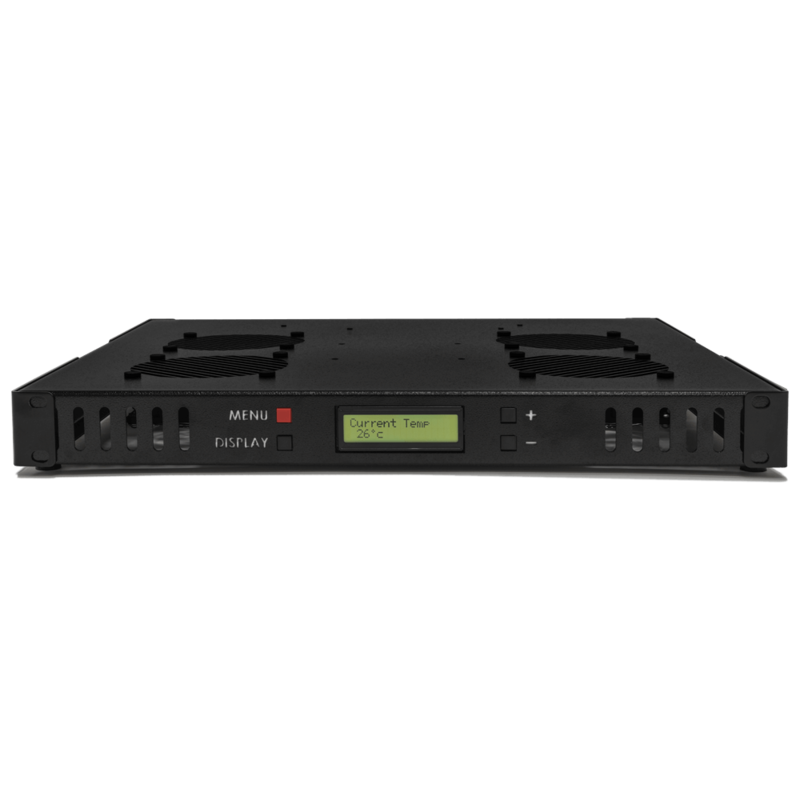 Ideal for when a screen is needed to be viewed in more than one position but is not required to be hidden away when not in use. 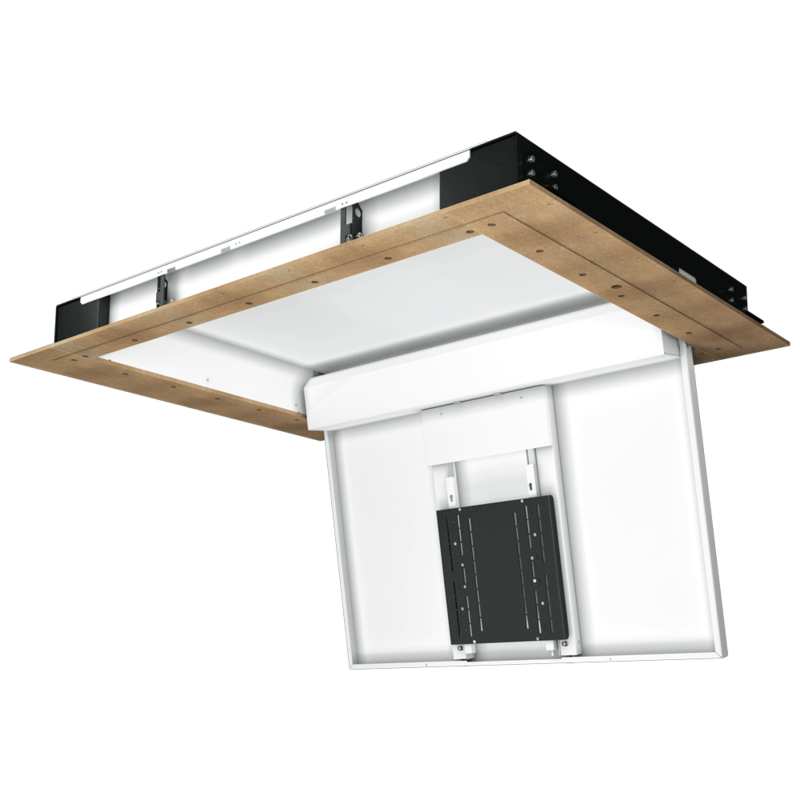 Stores a screen under the bed, negating the need for cabinetry at the foot of the bed. 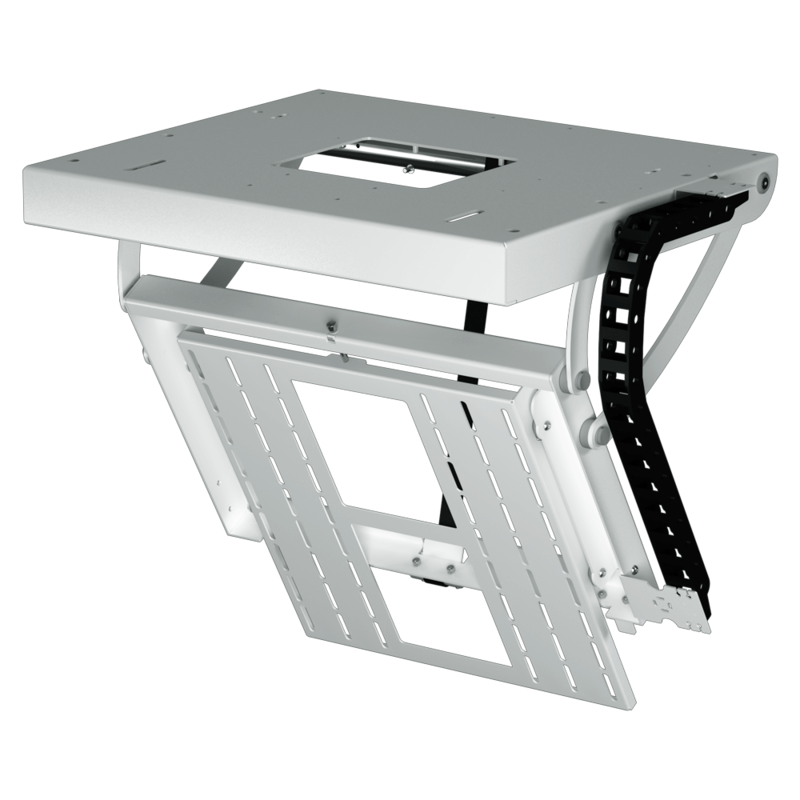 Stores a screen under the bed & swivels, negating the need for cabinetry at the foot of the bed.